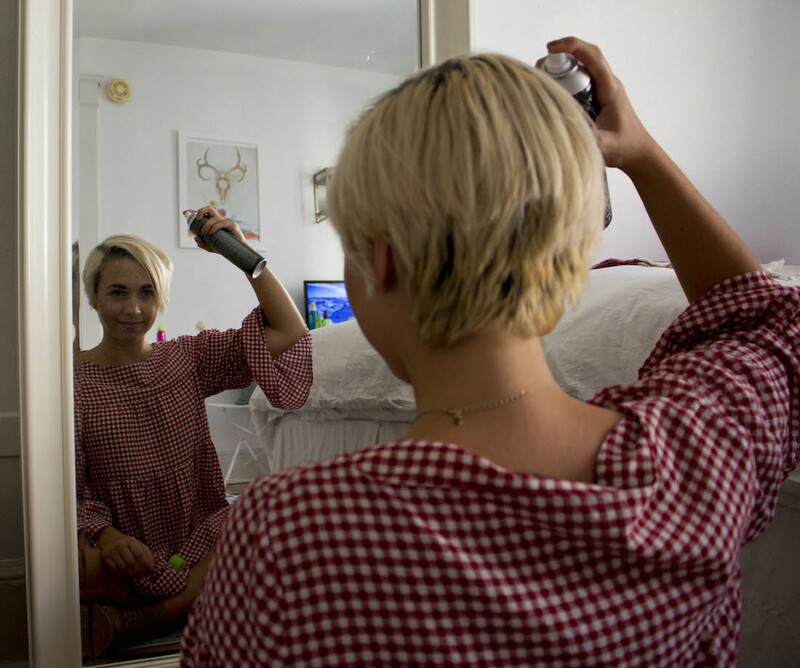 It’s a relatively new practice, but it’s gained a lot of popularity in recent years. 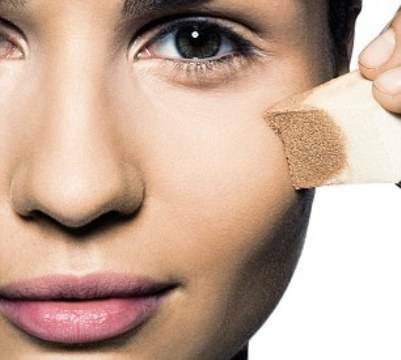 Instead of looking for the perfect product to minimize wrinkles, which can cause a hefty dent in our finances, undertaking a few simple exercises to tone and firm the face will give you the know-how on how to get rid of forehead lines, as well as firm your cheeks, tone your neck, and even prevent wrinkles around your mouth, one of the most obvious signs of aging. Even if you don’t hit the gym, there’s no excuse to take 10 minutes out of your day to exercise your face. How Much Of A Sun Worshipper Are You? We all love a bit of sunshine, but too much is going to have a devastating effect on our skin. Being exposed to sun gives us wrinkles, age spots, as well as long-term skin problems; you need to find the best sun care products that protect you. Remember, even if it’s cloudy in the middle of the day, but the temperature is high, you can still get exposed to the effects of the san. Be sure to put sunscreen on that has an SPF of at least 30 and when the reading the label, be sure it states that it’s a “noncomedogenic” or “nonacnegenic” product because these won’t block your pores. If you don’t exercise on a regular basis, you are not giving your body the means necessary to cleanse itself. Remember, even if you have a perfect diet, but you don’t exercise, are you giving your body the opportunity to circulate blood, and detoxify itself? A lot of people don’t like to sweat, but it’s the body’s natural way of purifying itself. So be sure to have a sweaty yoga session, or partake in some high-intensity interval training. 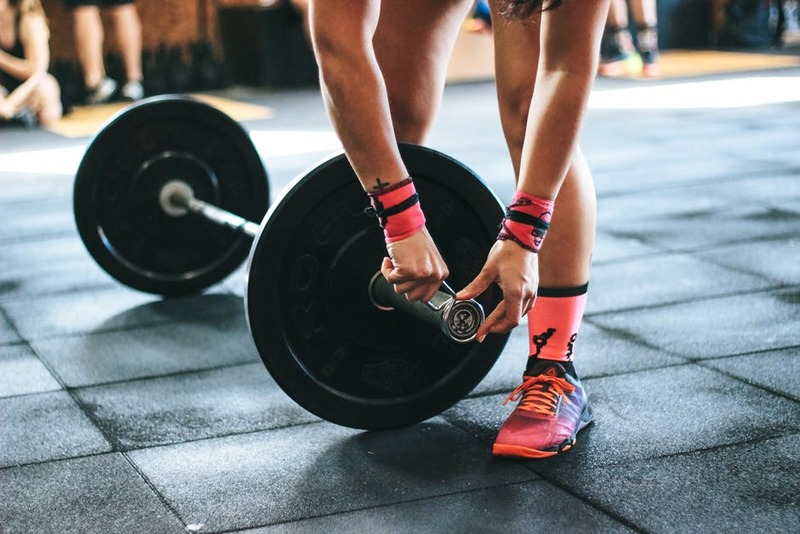 You could even lift weights, just as long as you are giving your body the opportunity to sweat everything out. And even if you can’t exercise for health reasons, you can still go for a brisk walk around the block, or take the Norwegian approach, and get in a sauna. 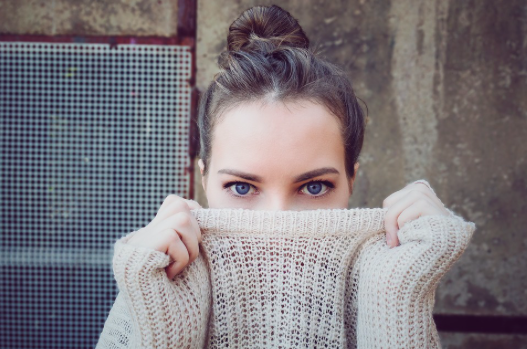 No matter how healthy you are, if you don’t give your body the opportunity to cleanse and detoxify, these toxins will show up all over your skin and on your face. How Much Water Do You Really Drink? Do you drink the required amount? And if you don’t know what the required amount is, at least 8 glasses will be enough to keep yourself hydrated. Keeping your body hydrated will help to promote your skin’s natural elasticity, but you will also feel better as a result. If you forget to drink water, the best way to get around this is to ensure you have a glass by you constantly, in the office, or at home. And as soon as it’s empty, fill it back up. In addition to this, eating fruits or vegetables that are high in water content will top up your daily intake. There’s a simple little test to check if you’re dehydrated; pinch the skin over the back of your hand, or on your abdomen. 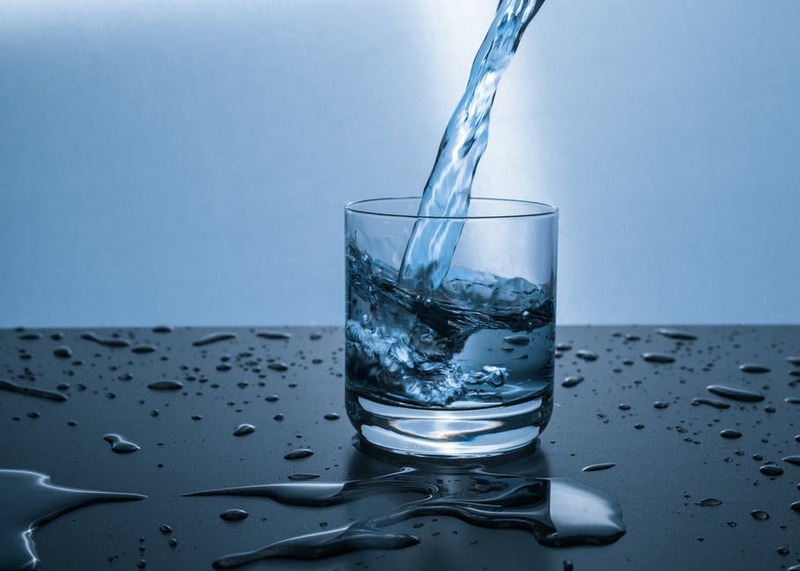 If you are dehydrated, the skin will take its time to return to normal will highlight what is called skin turgor. We spent a lot of time finding the right products, when in actual fact the best way to prevent the signs of aging, especially on your face, is to undertake the natural approach. 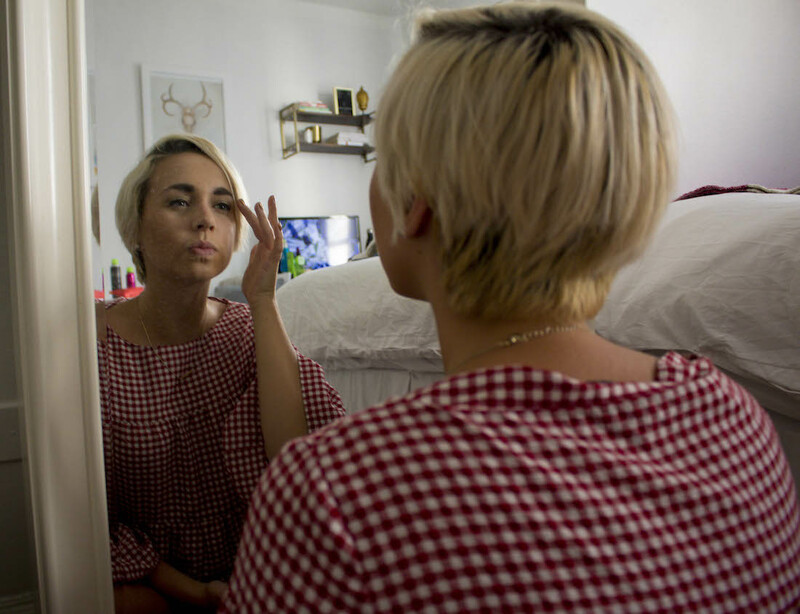 While a skincare routine is a great way to keep on top of specific issues, the underlying way to keep yourself healthy is to make sure you are indulging in healthy life practices. 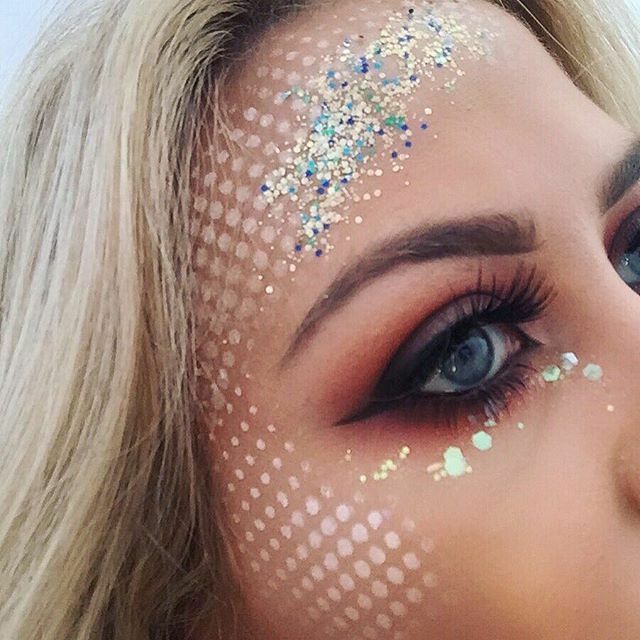 It’s the normal things, making sure you have a balanced diet, looking after yourself, getting your beauty sleep, but it’s these things that will show up on your face. A lifetime of stress and bad habits will show up as wrinkles and dehydration. So, go the natural way, and keep up the practice. 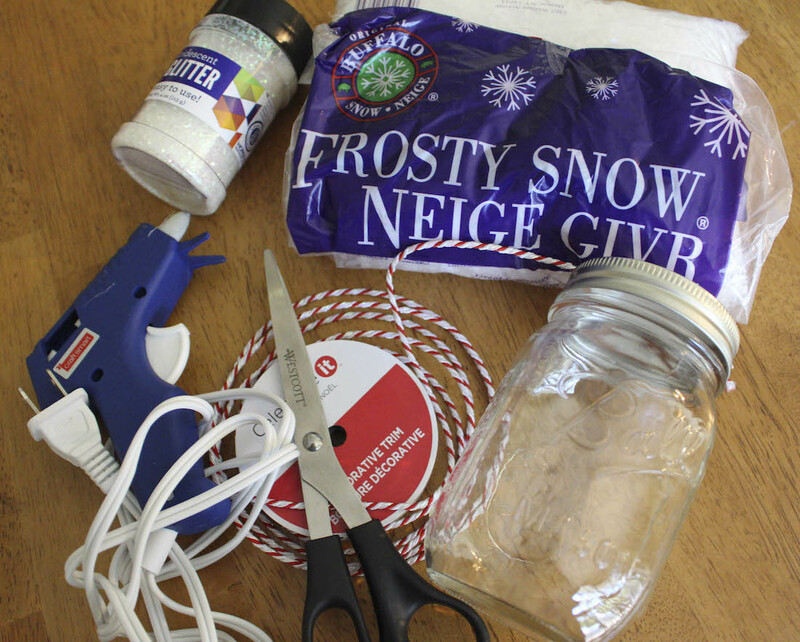 If your house is still not decorated for Christmas or you still have a few more people left to buy Christmas gifts for, it’s time to put on your crafty tool belt and get creative. 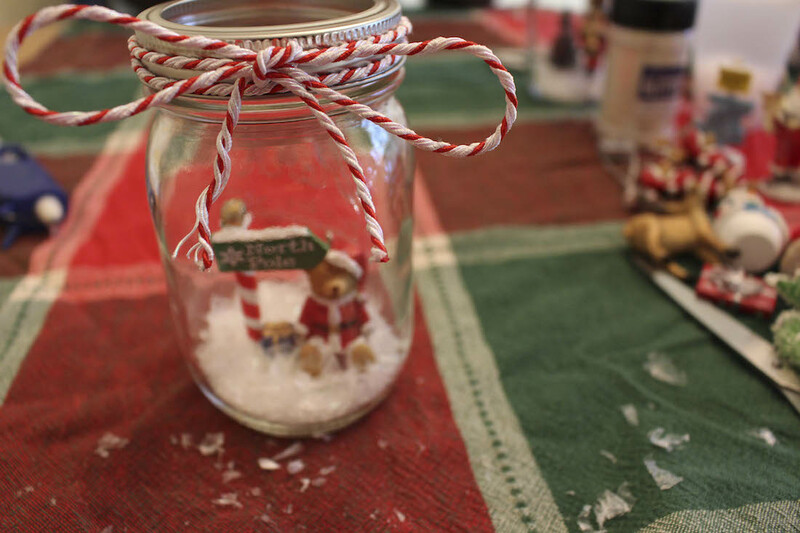 Today, I will be showing you a festive DIY that will put anyone in the Christmas spirit. 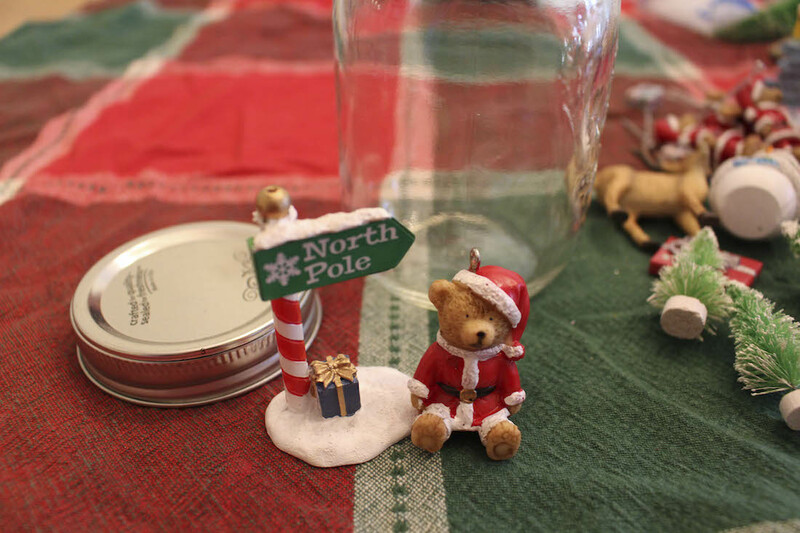 These “No Water Mason Jar Snow Globes” are super easy to make even for those who don’t have a crafty bone in their body. 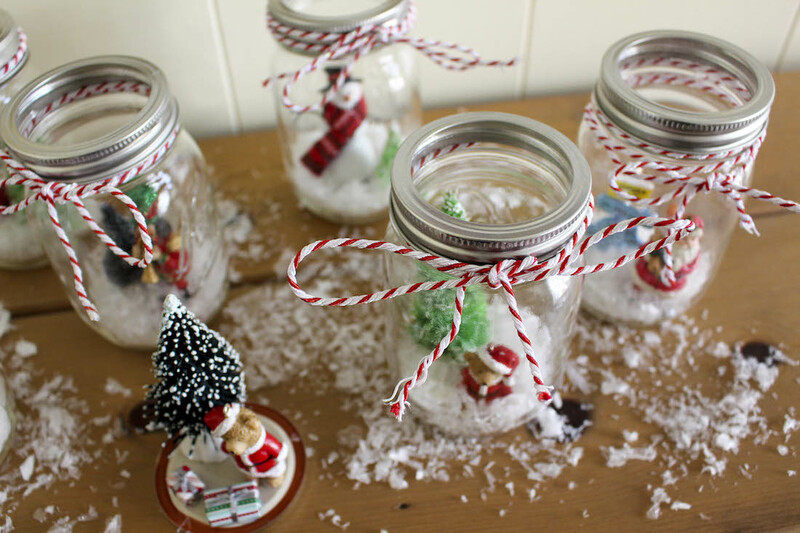 Display these mason jars all around your home or wrap them up and give them out to family and friends. 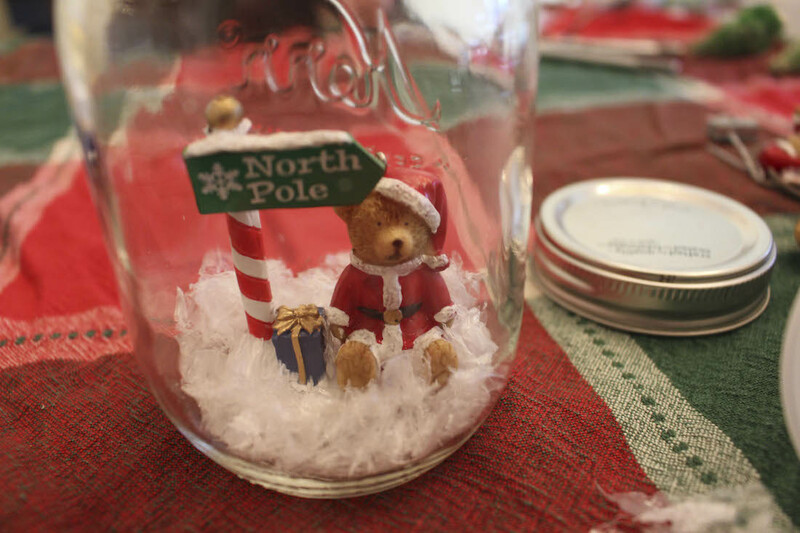 Whatever you do with them, you will have people asking “where did you get them and how much did they cost.” But it will be our secret that it actually took only a few cheap supplies and a couple minutes to make these Christmas wonderland mason jars. 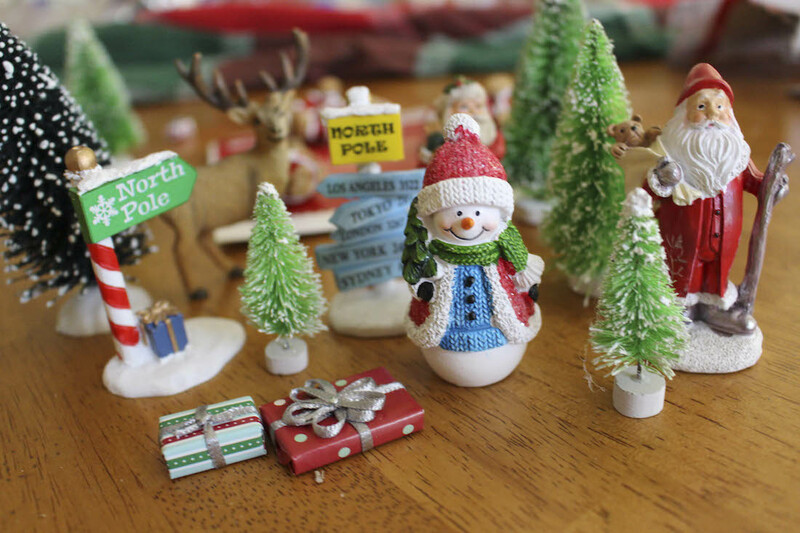 First, go through your collection of small Christmas inspired figurines or ornaments. 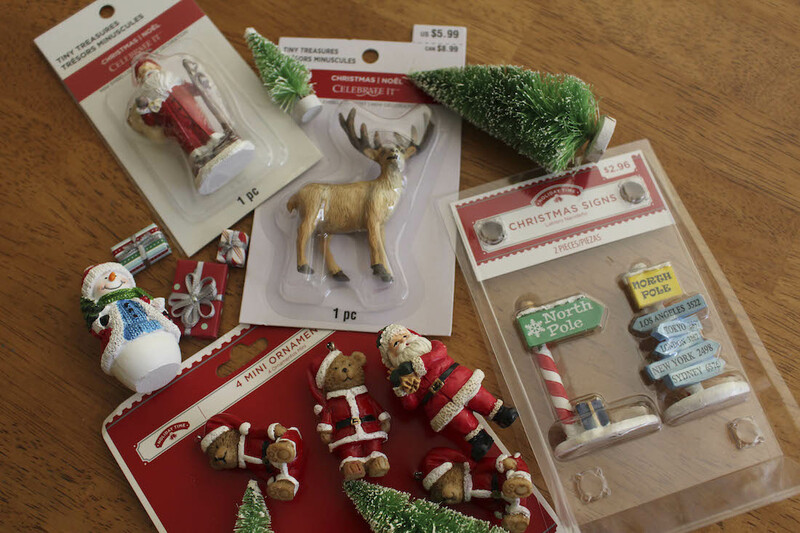 You can buy these type of Christmas figurines or tiny ornaments anywhere from a craft store to a thrift store or who knows what you might have lying around in a box in the attic filled with last year’s Christmas decorations. 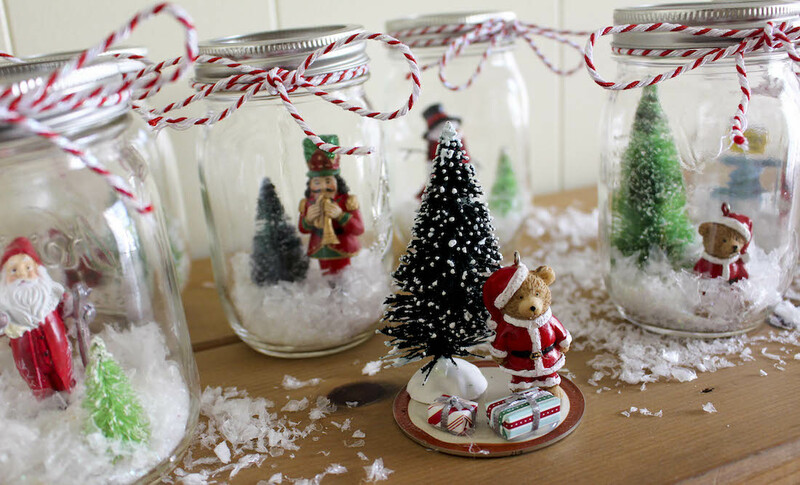 Next, put together a little Christmas scene with your figurines. Usually no more than 2 figurines fit in the mason jar, so I would pick a bigger, statement-like piece. For me it was the teddy bear and then a smaller accent piece like this North Pole sign or even one of those Christmas trees. 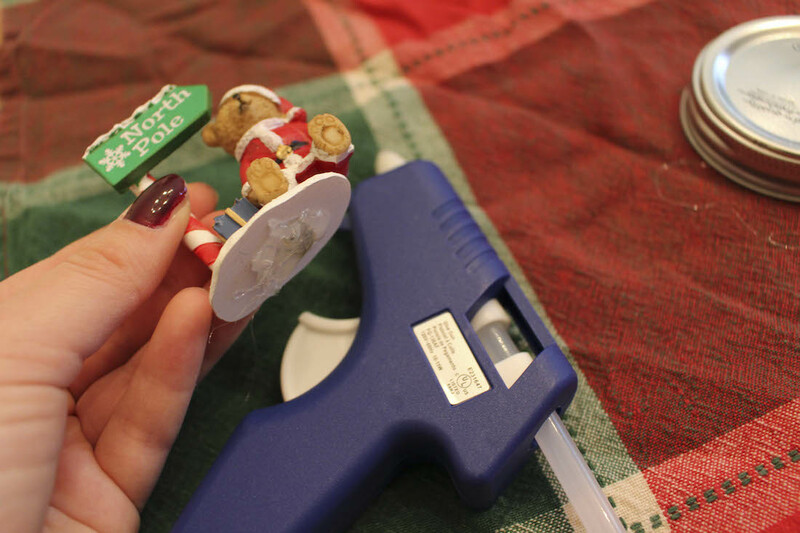 Then, warm up your hot glue gun and apply a good amount of glue on the edges of your figurines. I had to first glue the bear and sign together to make it one piece so it would be easier to place, but I found this is not necessary. 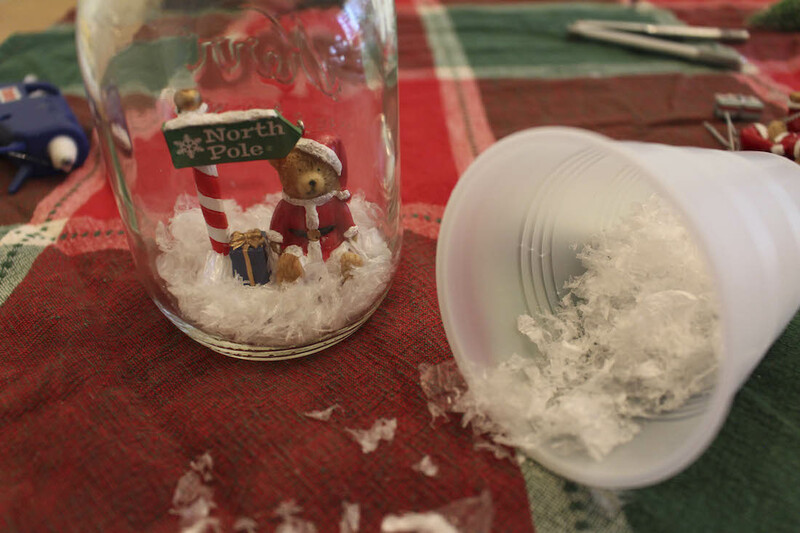 You can easily plop the pieces in the mason jar separately. Now, this is where I got innovative. 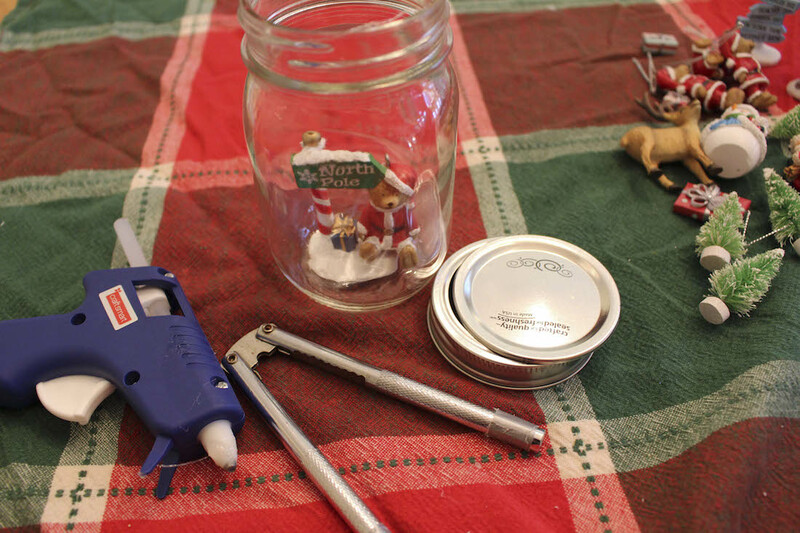 I wish I had a pair of longer tweezers because that would help me hold the figurines together to place on the bottom of the mason jar, but leave it to my mom to give me a nutcracker with tape on the edges to make it less slippery. It did the job because my hands were a little too big to put inside the jar to stick the figurines down. If your hands are tiny weeny and can fit all the way in the mason jar, you are lucky! 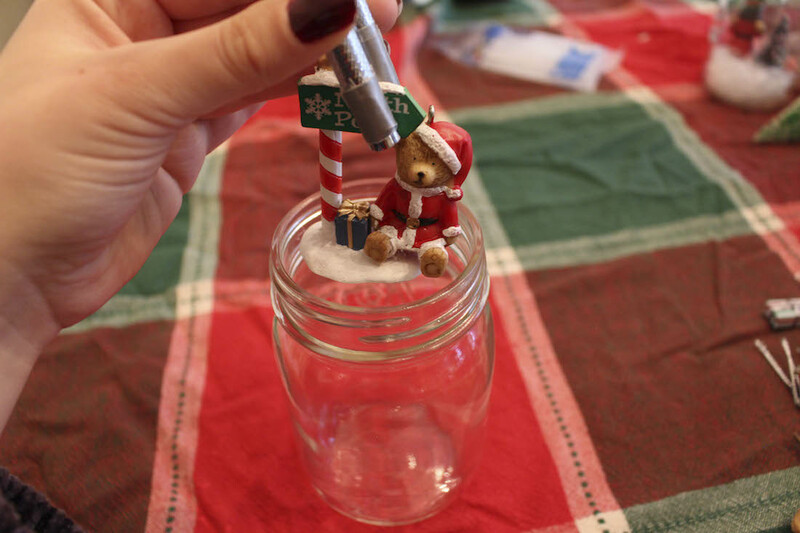 But if you need a little assistance, I recommend a pair of tweezers, pliers, or get creative and use whatever you have around the house, like a nutcracker. When you get your little ornaments to stick, I would gently press them down to make sure they aren’t going anywhere. 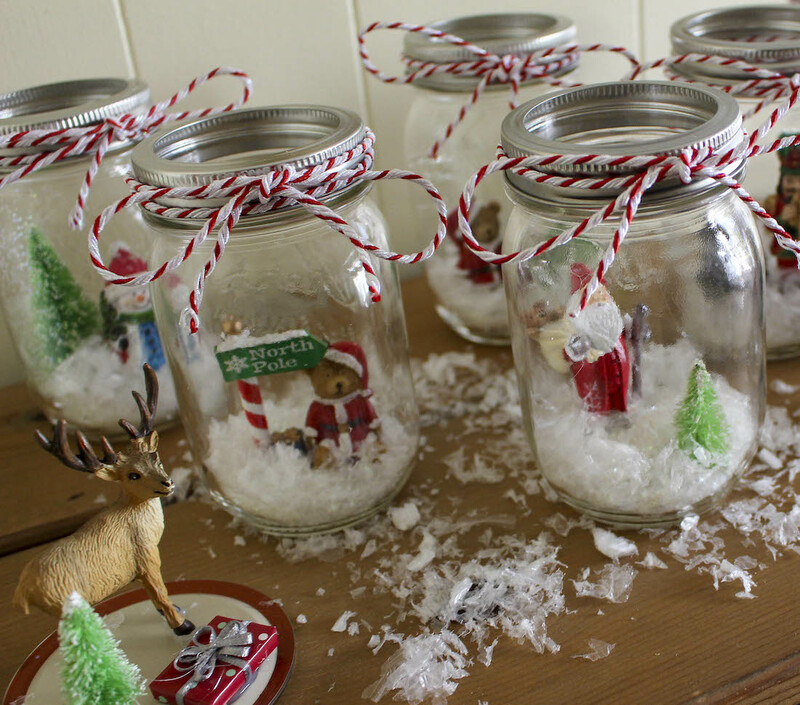 Next, it’s time to make a winter wonderland inside of your mason jar by pouring some of this fake snow in a cup and then carefully coating the bottom of your mason jar. Use as much snow as you want or like (we all know how much I hate snow) so I only applied a small coating but just enough to lightly coat the bottom of the mason jar. 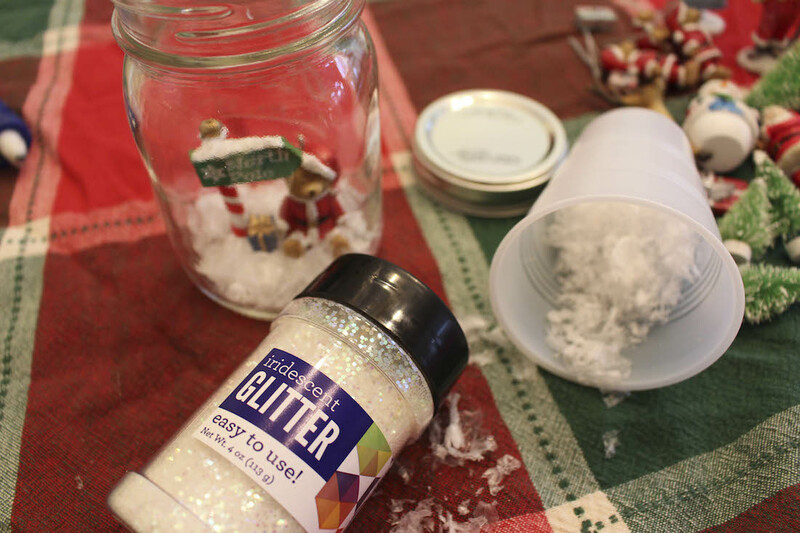 To make the snow sparkle, generously sprinkle iridescent glitter all over the inside of the jar. Unlike with snow, you can never have enough sparkle. Now, put the cap back on your mason jar. 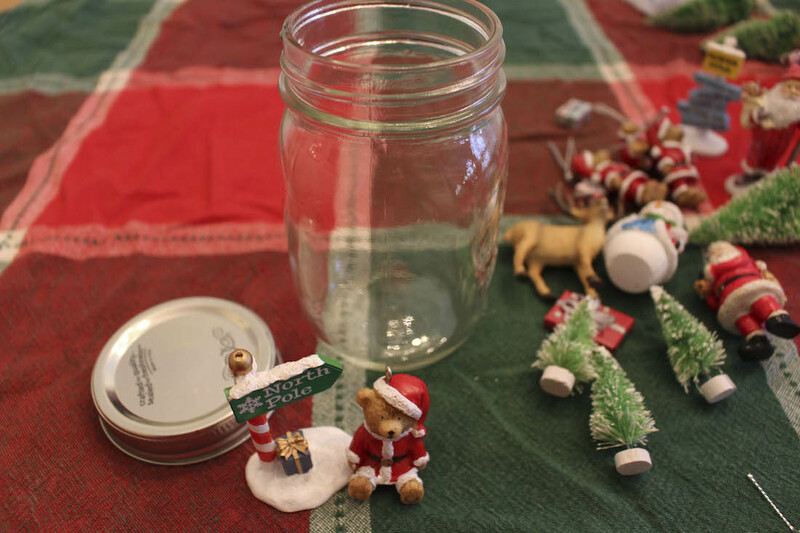 I decided to leave out the middle part of the cap, because I want a little light to shine through the jar, but it’s up to whether or not you want to seal your jar completely up. Finally, we don’t want only the inside of the mason jar to be the center of attention. 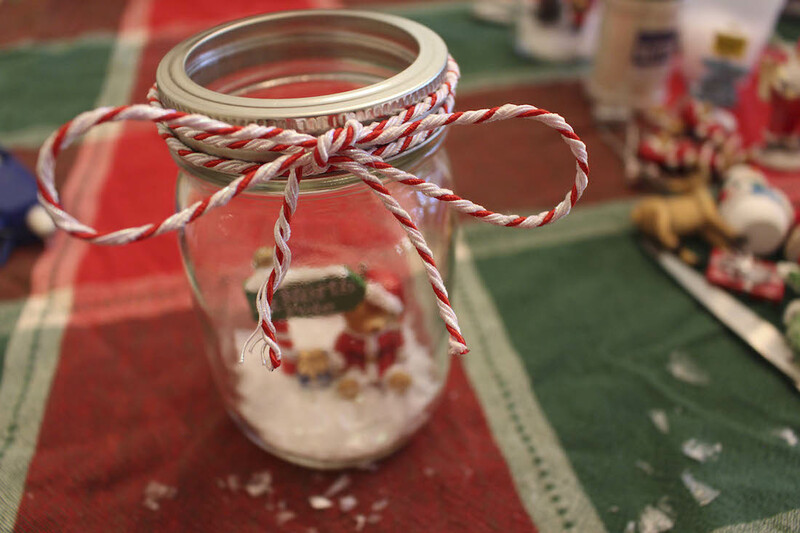 S o, I decided to tie a cute little bow around the lid of the jar. I chose this Christmas decorative trim which features this red and white stripe candy cane like pattern, but you can choose whatever color or ribbon your heart desires. And that’s it! 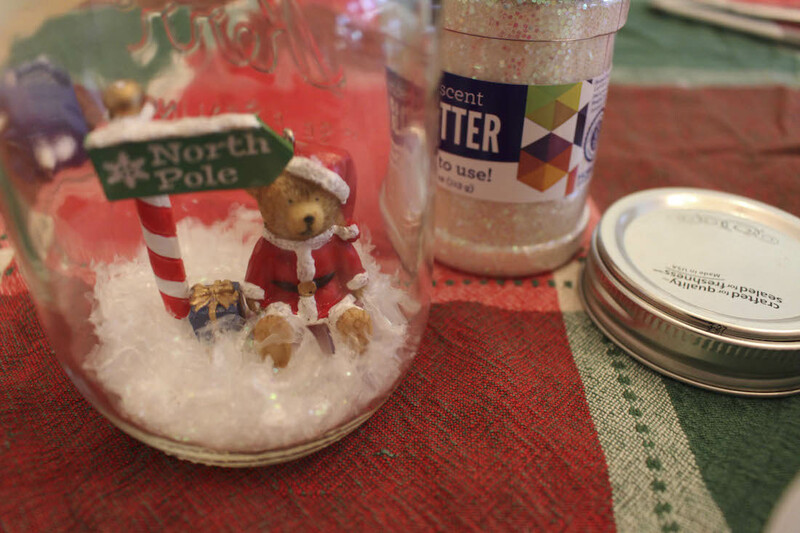 Sure, this is not a “real” snow globe because it’s missing the water, but who has time for an extra step or extra mess. 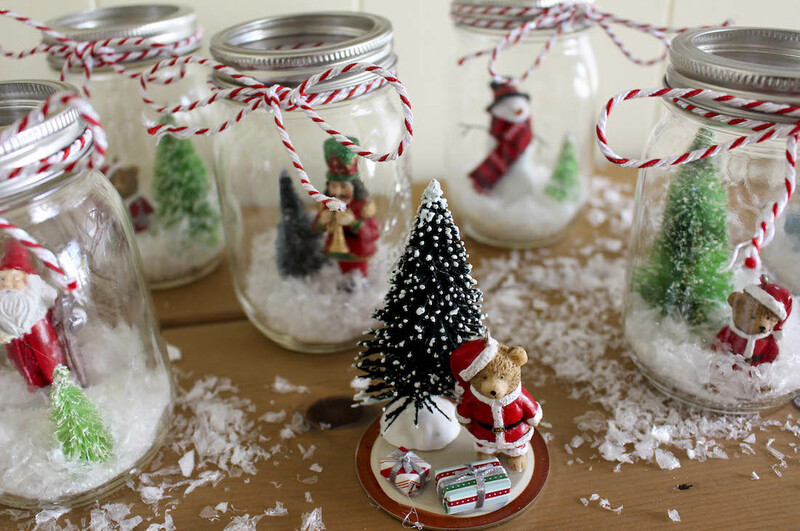 These jars still resemble that authentic snow globe feel to me, but the best part is they are a whole lot easier to make. 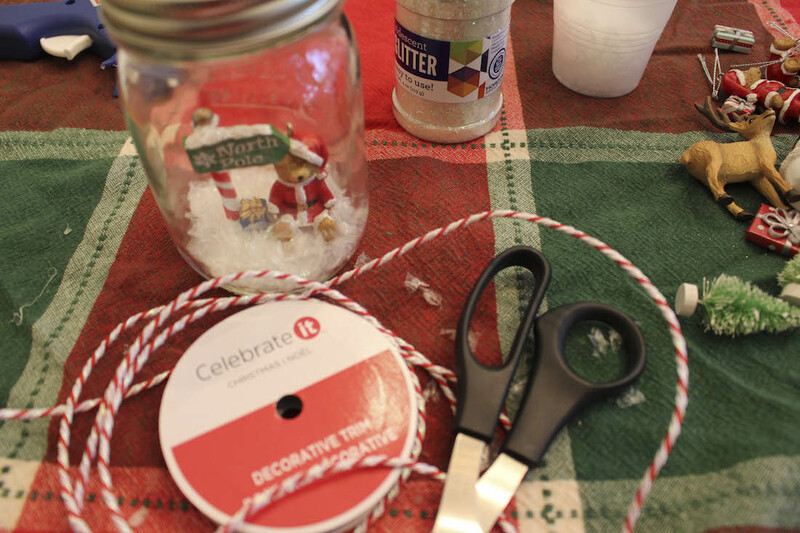 There’s no better time to DIY than the holiday season. Let me know in the comments below what you think about this craft or if you have any other fun holiday crafts. If you are looking for more holiday DIY inspiration, check out my wine cork reindeer craft from last year. 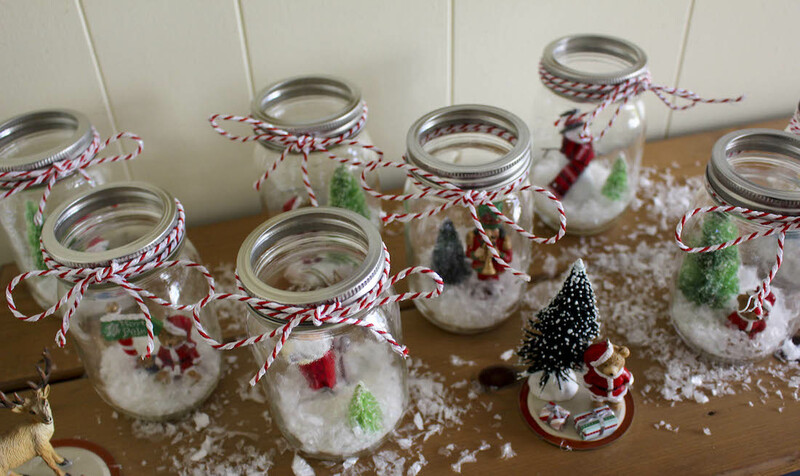 Remember, if you try out this craft don’t forget to tweet me a picture of your mason jars waterless snow globes. Happy holidays! Now that Thanksgiving has come and gone, the frigid temperatures seem to be here to stay, and it got me thinking that snowy weather is just around the corner. I’ve never been a fan of the snow. Yeah, the first snow fall always looks beautiful and peaceful but after a few snow storms I’m over it. Plus, have you ever walked through the streets of Manhattan while it’s snowing or after a big snow storm? It’s a slushy mess that just makes my commute unbearable. I’d rather an autumn wonderland than a winter wonderland, so before the snow arrives, I’m holding onto the fall season a little longer. Keep on scrolling to read all about one of my favorite autumn inspired outfits. Chenille is all the rage this season. To be honest, I never really heard knew much about this unique type of fabric until recently. After doing a little research on this fabric, I learned that the word “chenille” is French for caterpillar because the threads resemble tiny caterpillars. My mind was completely blown away! But it does make sense because the threads are very thin and rigid. My favorite chenille sweater is this oversized sweater from Zara. I love the burnt orange color which to me is the color of autumn. The chenille fabric is so soft and cozy you never want to take it off! The burnt orange, rusty, color looks best when paired with a dark wash colored denim. 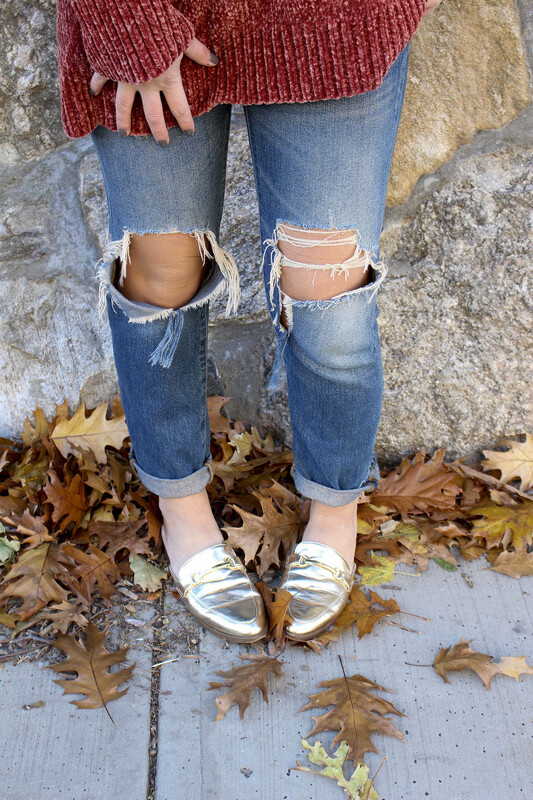 My distressed boyfriend jeans from Madewell are the perfect match. I’m not sure how long these jeans will last because every time I wear them the holes get bigger and bigger, but I still love them. I guess they served me a good 4 years, but I’m still not ready to retire them yet. To add a little more of the autumn color palette, of course, I had to wear my metallic gold slides from the brand Restricted which you can find at Marshalls. The metallic color really completes any look and pops against anything, like the pile of leaves in this photo. Since my sweater has a low neckline, a choker style necklace is the best for pairing with this sweater. I’m really digging the mixing of metals like gold and silver so this cool spiked necklace from the brand Design Lab sold at Lord and Taylor’s has a mix of gold and silver that pairs nicely with my rust colored sweater. Plus the spikes add an edgier vibe to this somewhat classic outfit. Let the season begin of anxiously checking the weekly forecast to see if snow is on the way. Am I totally weird to hate the cold weather and snow this much? Let me know in the comments what kind of weather you prefer. See you all in my next post! T-minus one day until Turkey Day! Are you mentally preparing for what you will be stuffing your face with on Thanksgiving? 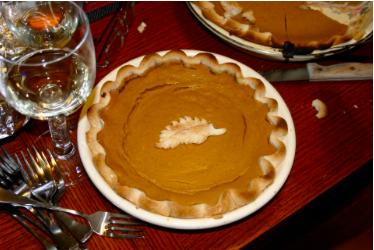 Or how about strategically planning for how you are gonna fit all the Thanksgiving specialties on one plate? For me, I’m planning what I’m gonna wear for the Thanksgiving festivities. For Thanksgiving my family gathers at my aunt’s house so I don’t have to worry about dressing too fancy but still want to look stylish yet still be comfy because it’s a long day of eating and drinking a couple glasses of wine (I’m gonna need it to get through the countless questions from my family about my love life or what I’m doing with my life haha). So if you are like me and want to embody the whole comfy but fashionable look this holiday just keep on reading. 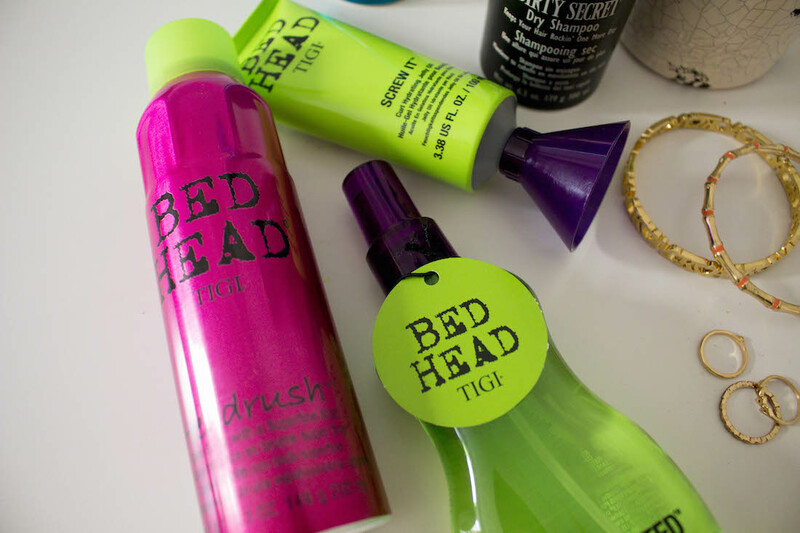 Don’t you love a good T.J.Maxx find? Especially a find on the clearance rack? 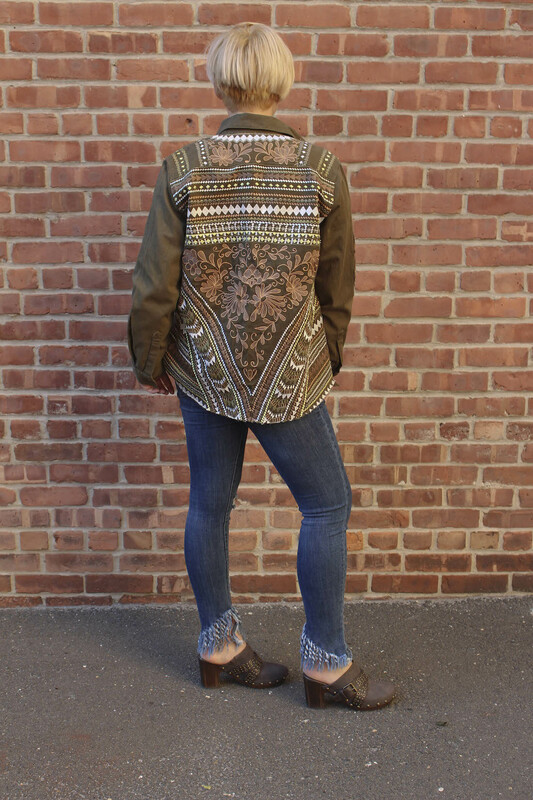 I found this chic embroidered army green light jacket by the brand Other Stories. I love finding pieces from a designer store for a not so designer store price. The front of this jacket looks pretty ordinary, but take a look at the back with all that color and intricate embroidery. For under the jacket, you can easily wear a tank top or a short sleeve shirt. But for the winter time I like to find every possible way to keep warm so when it comes to these light jackets I usually layer under it a thin basic sweater. Just like this simple yet cozy gray colored sweater from H&M. Finding simple ways to keep warm in the winter is key to making it through the cold months. Try it out, you will thank me later. You all know my obsession with fringe denim, so of course I’m wearing my favorite denim skinny jeans with the fringe bottom from a favorite boutique called Fox’s. These jeans have the perfect amount of stretch which is ideal for a whole day of sitting and eating. 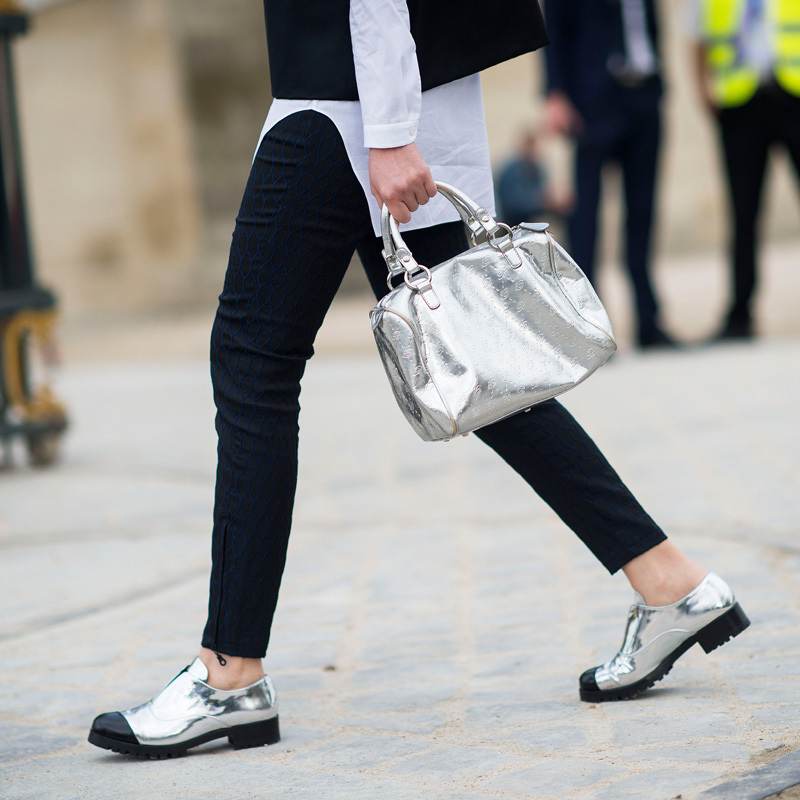 Sorry, mom for all the times I use to make fun of you for wearing clogs because now clogs are hotter than ever. I love the way these White Mountain brand clogs from DSW shows off my fringe jeans. I feel so 70’s wearing clogs but I love it! Since my jacket has a lot of details, I just wanted to add one more detail by including my favorite elephant pendant necklace from the store CharlotteCoutureGlam on Etsy. Etsy is the best place to find unique jewelry pieces or just unique things in general, so guess where I’ll be doing most of my Christmas shopping this year. Well there you have it, another look to make your holiday or any day in general a little more stylish. Not the right holiday look for you? Check out my other recent post featuring faux fur and a whole lot of glam here. Happy Thanksgiving! Is it just me or are others really freaked out over how fast 2017 is speeding by. I can’t believe next week is already Thanksgiving. Maybe freaked out is the wrong phrase but it just boggles my mind we are already fully in holiday mode. Just today I was listening to the radio on my way to the train station and I heard a Christmas ad and thought to myself isn’t it a little early for Christmas ads and that’s when it hit me…Christmas is next month. Are you for real? Or in this case are you FAUX real? You will get the play on words when you see my outfit below. I am just so punny! Although the fact that the holidays are just around the corner and stressing me out, I’m excited to upload even more style posts to inspire your holiday wardrobe. Keep on scrolling to read all about one of my recent favorite outfits that can work for any upcoming holiday gathering. It’s faux fur vest season! 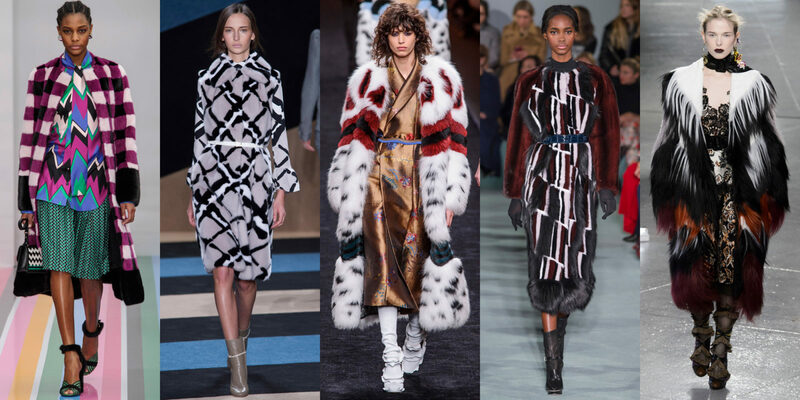 Usually, when I think of faux fur vests, I picture the usual brown or black color palette, but not anymore. Recently, I found this teal colored vest at Marshalls. This vest by the Romeo and Juliet Couture brand is so warm and cozy, plus the jewel toned color is anything from basic. Normally, when it comes to shades of blue, I like to match it with a black/gray color scheme which brings me to my next outfit detail. I am loving gray denim this season, especially when I want to take a break from traditional denim. When I was cleaning out my jeans drawer I found these light gray, almost silver like, pair of skinny jeans I purchased a few years ago from Zara. 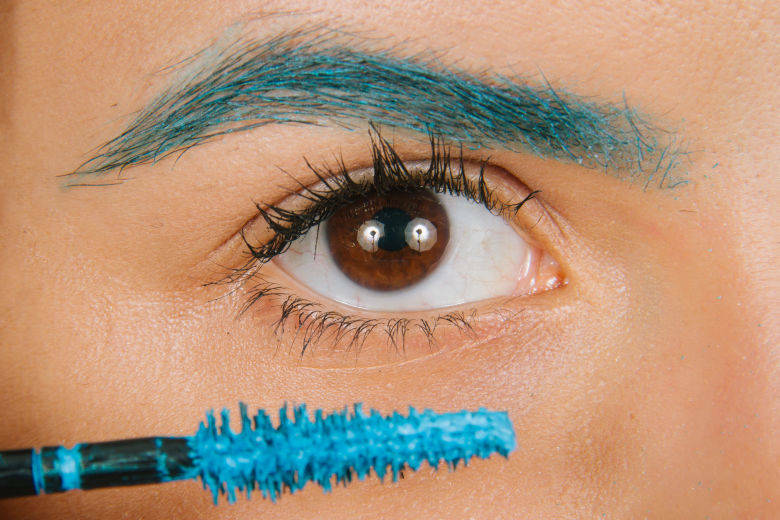 Who else is obsessed with the way the teal color against the light gray denim pops? As for what’s under my vest, I am wearing a white blouse from Marshalls. I love this type of blouse for layering. Plus, the silky blouse totally dresses up the look, which is why it’s perfect for any upcoming holiday party. I totally need more blouses like this in my wardrobe, so any suggestions where I can find more would be greatly appreciated. To incorporate more silver into my look, I am just wearing my favorite silver pendant necklace from Forever 21. Lastly, for shoes I just have on my favorite suede wedges by Steve Madden. Since these shoes are just a basic black color and simple silhouette they go with anything and everything! And that’s a wrap. Just a heads up, you will be seeing more faux fur vest outfits in upcoming posts. So you have been warned. What can I say, I just can’t get enough! Let me know in the comments below what have you been doing or planning to do to get in the holiday spirit? Talk to you in my next post! You can be whoever you want from day to day. Be a hippie today and a sharp business woman tomorrow. Wear the clothes that make you feel the way you want to feel. You’re under no obligation to be the person you were an hour ago, let alone yesterday! So, without further adieu, let’s look at 12 ways to mix up your personal style. Enjoy! Colorblocking is possibly one of the coolest things you can do with an outfit, so if you haven’t tried it, now is the time. 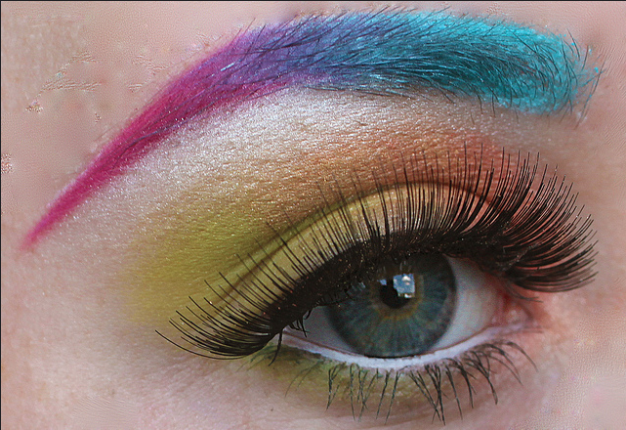 Choose a few colors you really like and put them together. For instance; a purple top, orange jacket, and teal trousers. 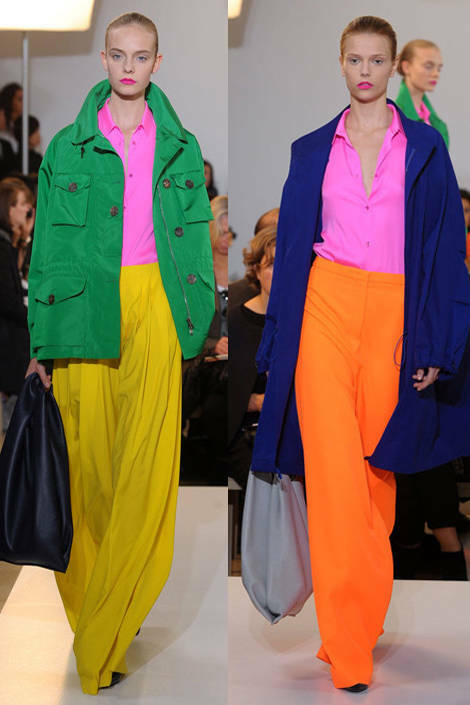 It might sound crazy but the combination of bright colors should put you in a great mood. You might just find a brand new way to put your clothes together! Clothes are just clothes, it’s people that put a label on them and designate them to either girls or boys. A man can wear a skirt if he wants to, just like women can wear trousers. Why not take the unisex chain and run with it, wearing a more masculine outfit for a change if you usually wear feminine? If you’re always in dresses, try a tailored suit. You could even just go for something like a Gold Chain at Frost NYC to ease yourself into a more masculine style. 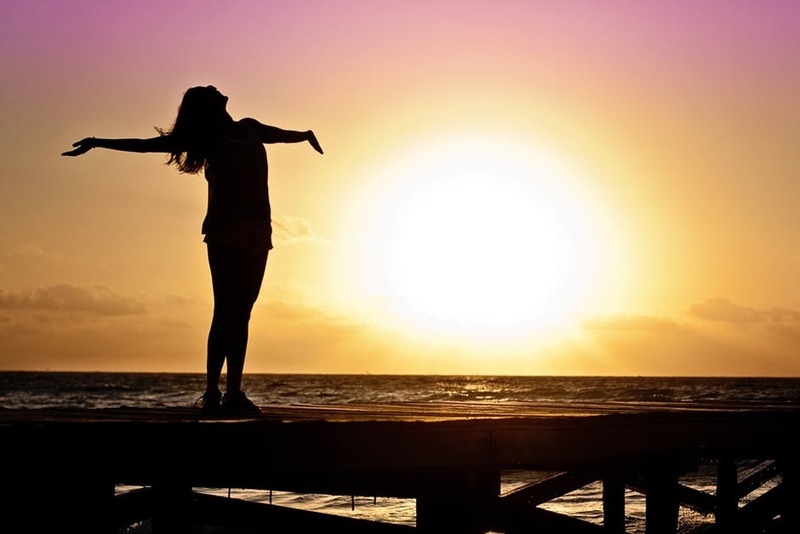 You might be surprised at how empowered you feel. Creating a mood board is a wonderful way to see what you’re drawn to the most. Pinterest is perfect for doing this, but you could even use magazines. Use the patterns, colors, and various styles you’re drawn to and see which patterns show up. 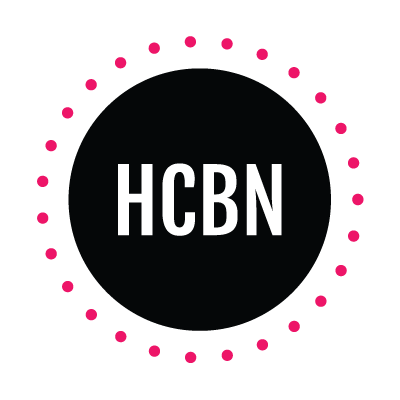 You might just find something brand new that you’ve never worn before but will love! When you go shopping, browse Instagram or whatever, you might see things that make you go, “wow!” but you don’t indulge because you don’t believe you can pull them off. The only reason you can’t pull them off is because you don’t think you can. 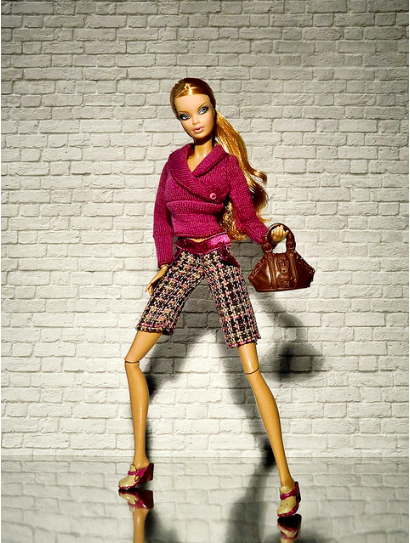 Wearing all different kinds of clothes is all about confidence and frankly, not caring what anybody else thinks. If you like it, wear it. Be brave. 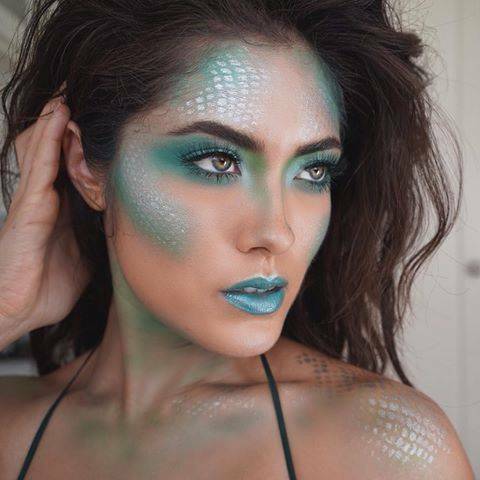 Chances are, you’ll absolutely love wearing something unusual and it’ll give you confidence to be even braver with your outfit choices. Changing your style right away can be scary. 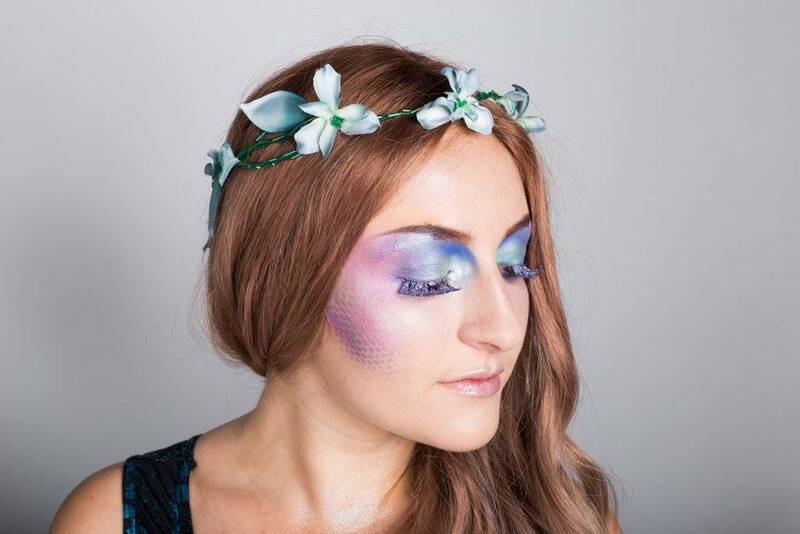 You might feel totally apprehensive about being a wallflower one day and a rainbow princess the next. If you’re totally freaked out, then gradually evolve. Slowly introduce different things into your outfits until you feel ready to wear something that you would never have worn before. Style evolves all the time, so yours should be no different! Statement shoes are one of the easiest and most fun ways to perk up an outfit. 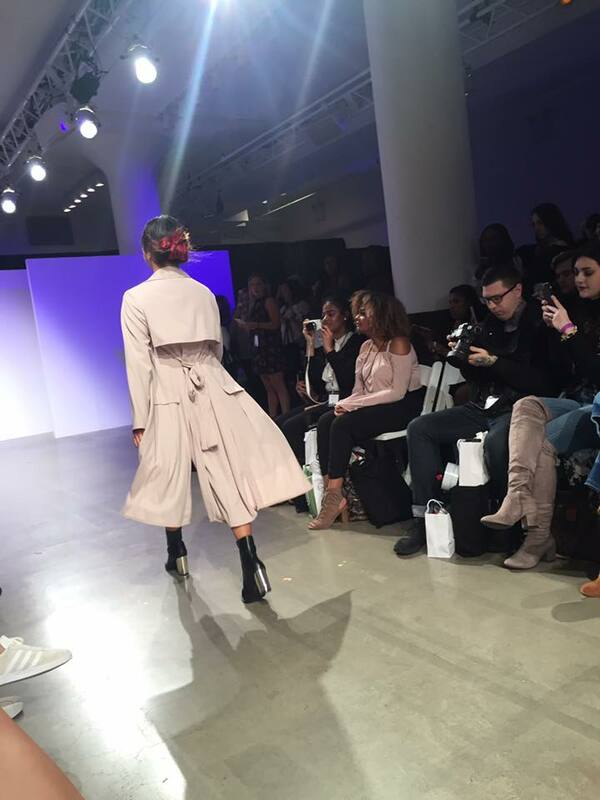 Go ahead and buy the bright pink, thigh high boots. Wear some bright red ankle boots. Buy some embellished stilettos. Even if the rest of your outfit is pretty plain, the statement shoes will make a world of difference. This doesn’t mean that’s the only time you can wear your statement shoes – wear them with whatever you like! 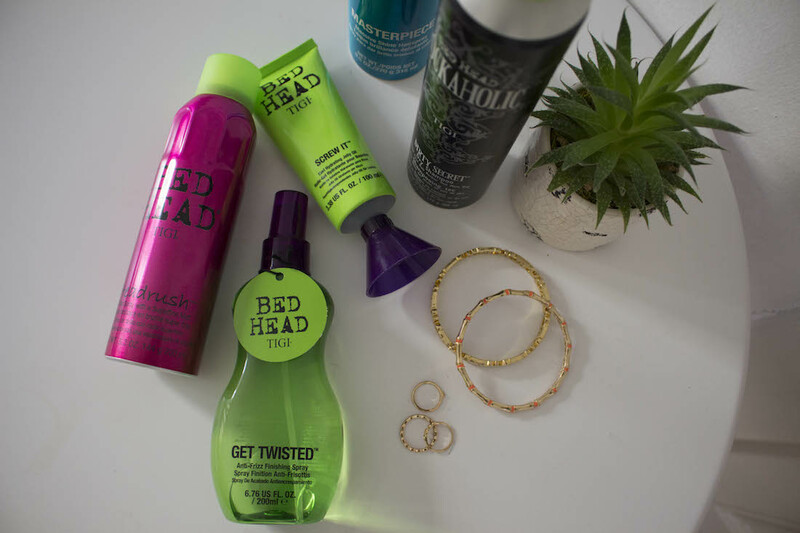 Do you accessorize enough, or do you let it fall to the wayside? Getting dressed isn’t always enough to have a great look. You need to make sure you accessorize too. 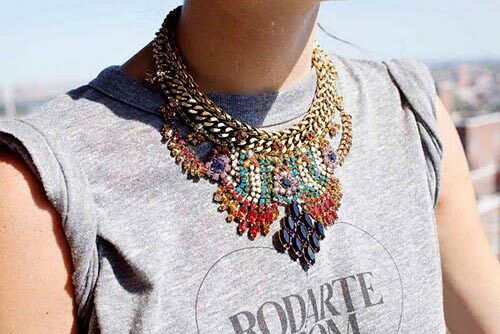 A fab necklace can instantly take your outfit from drab to fab. Bangles stacked high can add interest and stop your outfit from looking boring. Some people think that less is more. However, if you want to mix things up, you should pay attention to the wise words of Iris Apfel. She says, “more is more and less is boring”. 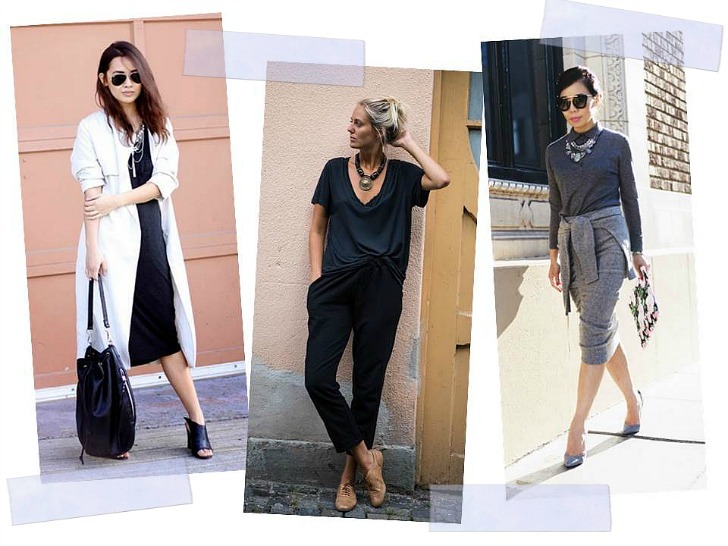 Take a look at some of her amazing outfits for inspo. She’s in her 90s, and loves mixing colors, prints, and materials to create the most incredible, artistic looks you could ever dream of. 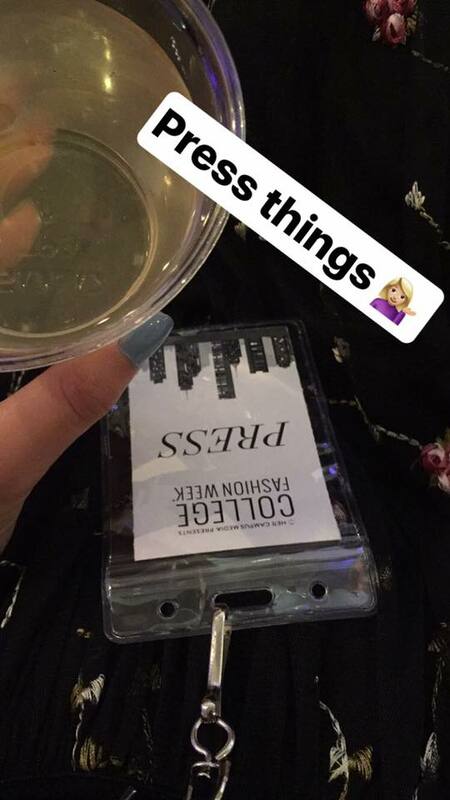 She’s also amazing at mixing different pieces of jewelry, finding many of them in unique stores rather than expensive jewelers. She often pairs multiple pieces so well that they could easily be one piece. Look to other people whose style you love and research what they do to create cool outfits. Why not have the courage to try a little headwear? Maybe you could wear a headband, or a scarf, or a hat…whatever takes your fancy. 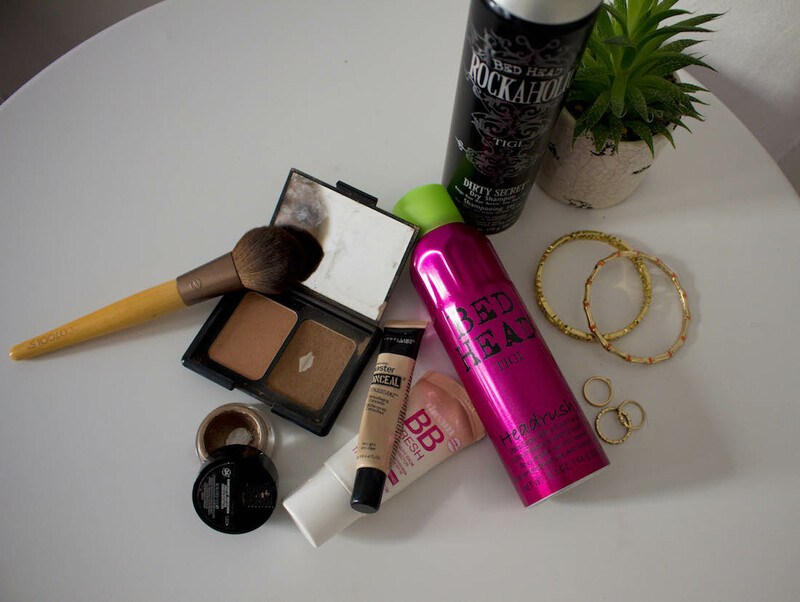 If you’re not using to it then it can be daunting, but it could seriously change up your outfit. You might just develop a new love of headwear. It doesn’t matter if you don’t need glasses. Pretty much everybody wears glasses these days for fashion purposes alone. 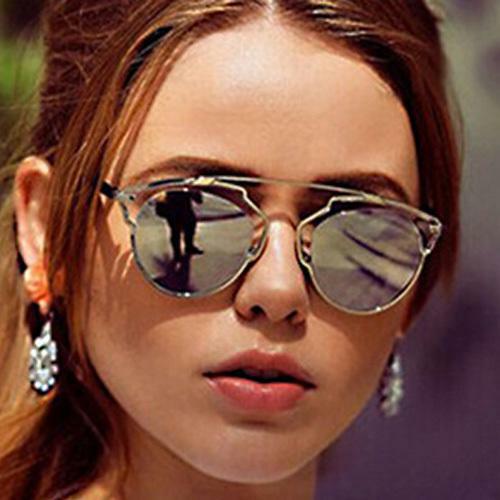 Buy some super cool glasses with clear frames and see how that can make a huge difference to your look. If you already have glasses, use them to your advantage. Choose some new cool frames if you dare! If you have a good friend, a stylish one is a bonus, go shopping with them and get them to pick out things for you to try on. Don’t say anything to them about what you’re looking for and just see what they come up with. Maybe you could even choose clothes for them. It’ll be so much fun, and you don’t necessarily need to buy what they choose. However, you might be surprised! Always focus on the smaller details of your outfit to bring it together. This could be anything, from the pattern on your socks to the color of your nails. All of these things can make a huge difference and make your outfit stand out for all of the right reasons. It isn’t about being minimalistic with your clothes. It’s about going all out and having lots of fun. 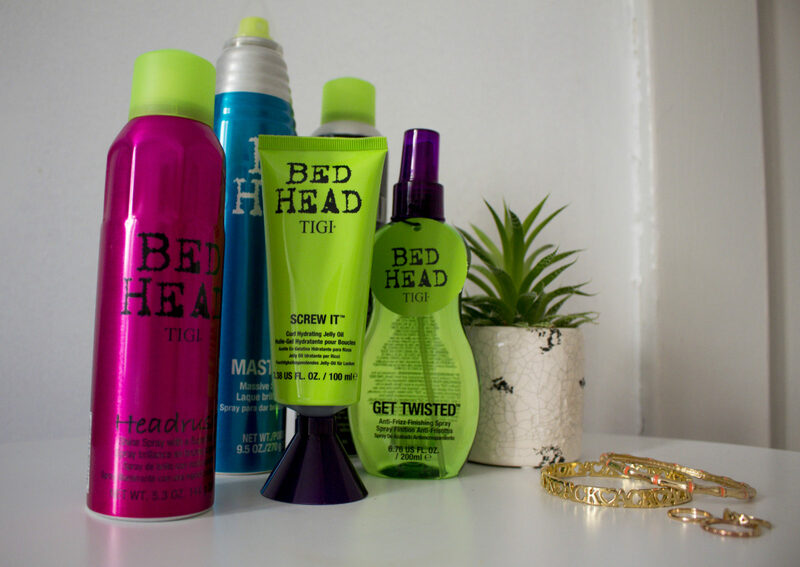 Which of these tips do you think you’ll try out? Leave your thoughts on them below, as well as any other tips you can think of to help people experiment with their personal style more. Remember, you weren’t born to fit in. Try new things and enjoy yourself. Most of all, don’t even worry about what other people think. Talk to you all in my next post! Does anyone know the difference between plaid, checkered, or the buffalo plaid pattern? To me these three terms are interchangeable. Although in the fashion world, plaid is described as different sized vertical and horizontal stripes of two or more colors, checkered is described as equal sized squares of two alternating colors, and buffalo plaid is described as a larger, square checkered pattern. I had to brush off on my old skills of working retail at Madewell and learning all about their trendy flannels and all the different patterns so I settled on buffalo plaid to describe the shirt I’m wearing in today’s look. Plus, in the office today, Bob Marley’s song Buffalo Soldier played in our office so boom I knew it was meant to be. It also provided the inspiration for the title of today’s style post. Weather in the NYC metro area is still pretty fickle. One day it will actually feel like November with cooler temps and then the next day we are back to a late summer feel in the air. 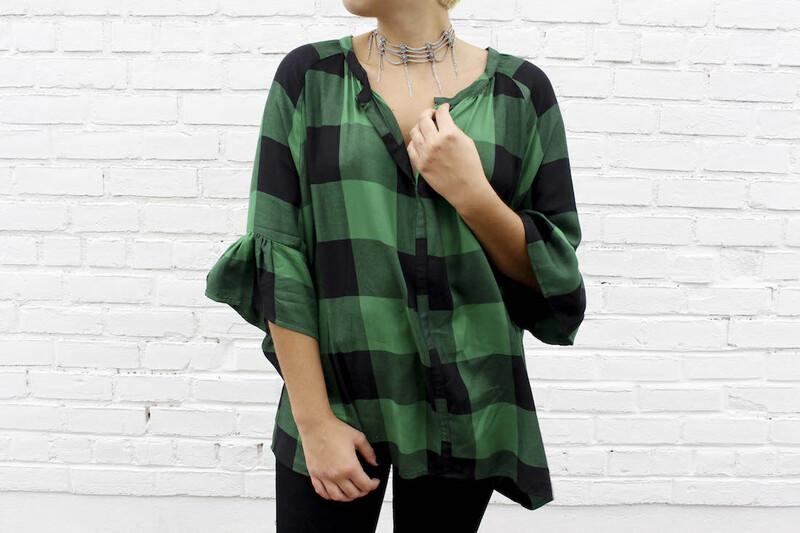 but these days, no matter what the weather, I am getting tons of wear on my green and black buffalo plaid tunic from Zara. I am obsessed with the oversized fit and the long length of the shirt. Also, a shirt like this can easily be layered with a leather jacket or sweater for those chillier days. If you follow me on Instagram you will see a common fringe theme in my outfits. 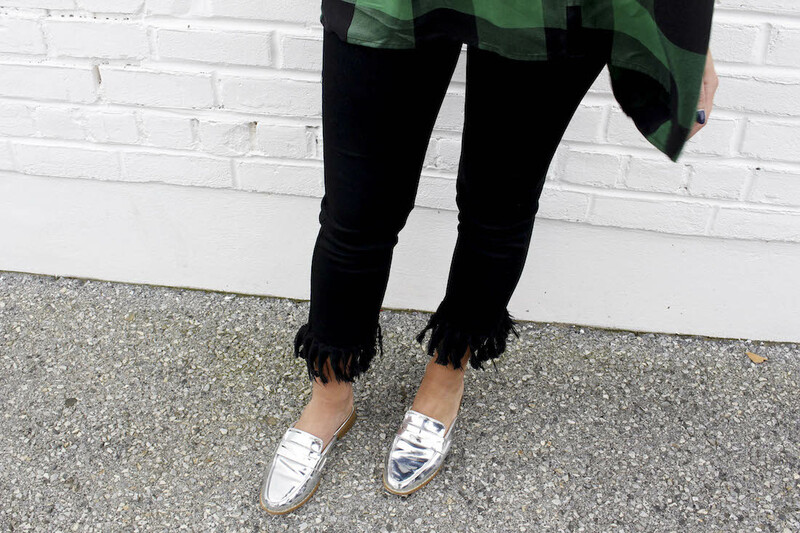 I love fringe and especially fringed denim for this season. 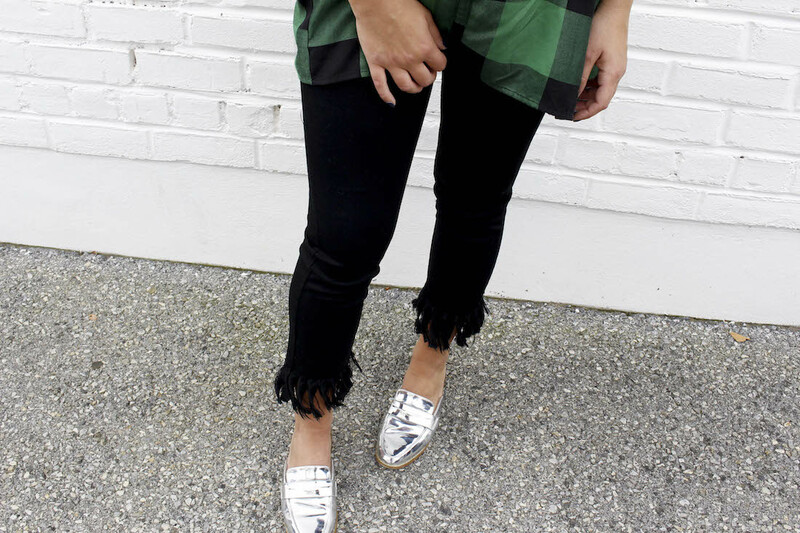 I can’t get enough of my black denim with the fringed bottom by the brand Flying Monkey. These high-waisted jeans have a jegging like feel so they are super comfortable. Additionally, the length is perfect to show off the fringe whether with a pair of flats or booties. These metallic mules are going to fall apart one of these days. I have been wearing them non-stop. I get tons of compliments on the bold silver color, which surprisingly goes with many of my looks. Something about these silver shoes paired against my black jeans and the bright green in my shirt just looks great. I am mule/slip on slides obsessed this season and I find the best place to find these shoes are Marshalls or Tjmaxx, which coincidently is where I found these. And lastly, since the neck of my tunic is somewhat low, I decided to add one of my favorite statement chokers. This choker from a local boutique scores tons of compliments and adds the right amount of bling. I been in a shopping frenzy lately and have been buying a lot and incorporating my new stuff with the old stuff in my closet. So expect more content from me coming soon. But until then keep the convo going by letting me know in the below what has been your favorite recent purchase and how you have been styling that item. Talk soon! So you celebrated the summer season with a bright and light decor that gave your home a fresh and exciting style? Great! But the problem with the summer style is that, once the Halloween pumpkins are out, it doesn’t look as stylish and exciting as it did in July. It’s time to work on your transitional decor and to prepare the home for winter… but first, let’s think of the Halloween decor. No, it doesn’t mean sticking a plastic skeleton on the shelf and hoping for the best. It’s about getting the colors and feelings of fall into your home without breaking the bank. 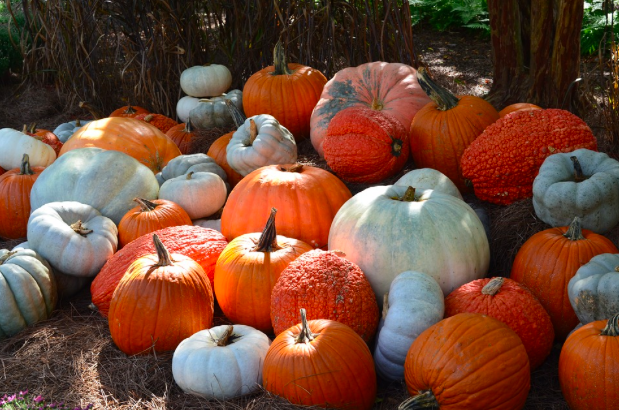 Make room for the pumpkins! First things first, now is the best moment to get rid of your summer touches, from the bright cushion covers to the summer fabrics. Don’t panic. It doesn’t mean that you should throw them away or sell them. Most decor aficionados tend to use little tricks, such as the storage units near my house options, which as the name indicates offer storage facilities in the proximity of your postal address so that you can keep seasonal decor items safe. As a rule of the thumb, the fall colors are warm — orange, red, brown — with dark accents such as gray and black and dark green. In other words, there’s no need for the flowery hues anymore! It can be frustrating when you’ve spent a lot of time and money decorating your home for the summer to have to do it again for the new season. Chill out; there’s no need to get your pots and your brushes to paint everything in autumnal tones. You can create subtle accents with scented candles and homemade potpourris. Oranges, cloves and eucalyptus are always a hit in the lounge as they create a homely and welcoming perfume. If you love DIY, you can keep some red leaves to decorate your table and your shelves. It’s not snowing outside yet, but the temperatures have dropped. 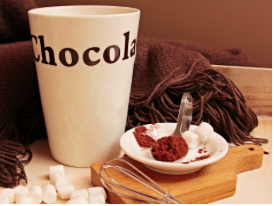 It may not be cold enough for a fire in the chimney, but the evenings would feel a lot more comfortable with a warm cup of cocoa and a soft blanket. In fact, the best way to prep your home for the colder months of the year is to pile a few blankets and throws next to the sofa and to switch your summery flip flops for a pair of warm woolly socks to wear inside. An elegant throw in the right colors can transform your summer lounge into a ready for autumn room. Last, but not least, let’s not forget a favorite of the season: pumpkin. While I hope you’ve prepared your artsy carved pumpkin and set it on the window sill, there’s something else pumpkins are great for: Sweet treats! Can there be a better way to spend your Halloween weekend than by baking delicious pumpkin muffins to share with your friends and relatives? After all, what everyone loves about Halloween, it’s not the scary decor or the autumnal colors outside… It’s its sweet, yummy and indulging taste with pumpkin cakes and pies and pumpkin pie spice drinks! In short, with simple DIY tricks and a few cleverly chosen blankets and treats, you can transform your home decor in time for the Halloween and Thanksgiving season. – a period of unusually dry, warm weather occurring in late autumn. A mild, warm autumn or an Indian summer is certainly what New England has been experiencing throughout September and the early part of October. I always felt that once Labor Day came the weather did a 180 and started to actually feel like fall. But lately temperatures have been abnormally high in the 70s and 80s. The days have felt like a continuation of the dog days of summer, especially in New York City. A lot of the time I am overheating by the time I get to the office. This is the season for a light jacket, scarves and layers but, instead, I find myself still wearing my summer pieces. But to celebrate the fall season I have been transitioning to some of my fall fashion with a bit of my summer fashion, like in today’s outfit. This is one of my go to outfits especially with the fickle temperatures because it features a mix of summer and autumn styles that are perfect for Indian summer weather. I bought my Uniqlo pants I’m wearing in today’s post in the early summer months but it wasn’t until last month that I started to wear them. I usually never shop at Uniqlo, but one spontaneous visit left me impressed with these soft, comfortable cotton blend flared pants. They are extremely flared and in some angles it looks like a maxi skirt. These flared pants are my favorite thing to wear when I want to take a break from denim. Plus the blush color totally works for the fall season. Since my pants are super flowy, I always like to balance out the proportion by wearing a form fitting top. Of course I chose my basic cream colored fitted tank from Zara. The cream and blush color makes for the perfect color combo. Since it is fall and I can’t get away with just wearing a tank (nor do I want to) I have to layer and a denim jacket is the best fall layering piece. I chose to wear my trusted denim jacket from Forever 21. I have had this jacket for years and it never fails me, especially with the edgy studded detail on the shoulders. I’ll bet I only get a few more wearings out of my Payless sandals but with flared pants like the ones I’m wearing, I like to wear an open toe shoe, especially with a little height. I’m sure once the weather gets colder I’ll start to wear booties with these pants but until then I’m going to show my toes a little bit more. As for jewelry, I’m just wearing a short gold necklace that I picked up at a cute boutique when I was traveling in London. If you take a closer look it says dare to dream, which is such a beautiful sentiment and reminder for everyday. Soon, the fallen leaves on the ground will turn to a slushy snowy mess. Soon, I’ll trade my sandals in for a pair of snow boots. And soon my jean jacket will be replaced with a heavy winter coat. But for now, it’s the season for dressing in layers for those brisk, chilly mornings and as the day goes on, shedding some layers for the hotter afternoon temperatures. Talk to you all in my next post! 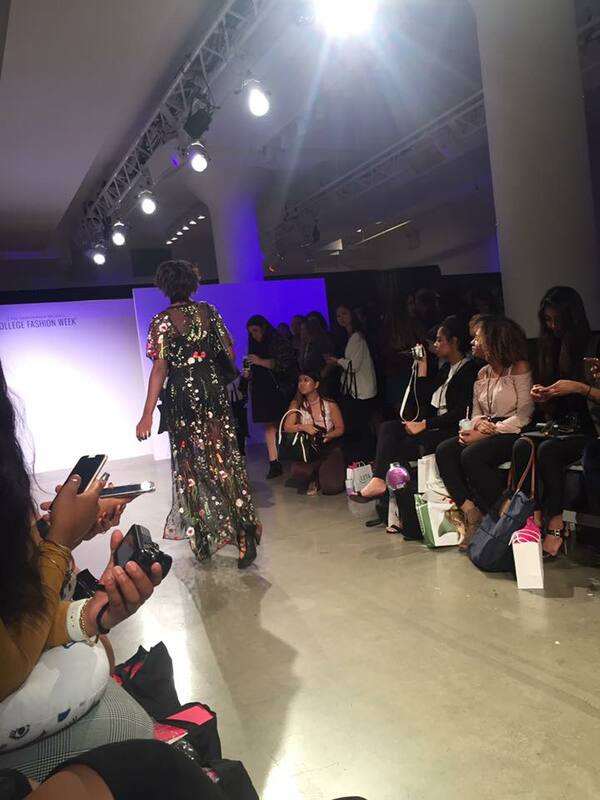 Hands down, one of my favorite things about being a blogger and a Youtuber, is the events. Events, like tradeshows, panels, fashion shows, and forums, is where I get the chance to be surrounded by people like me. 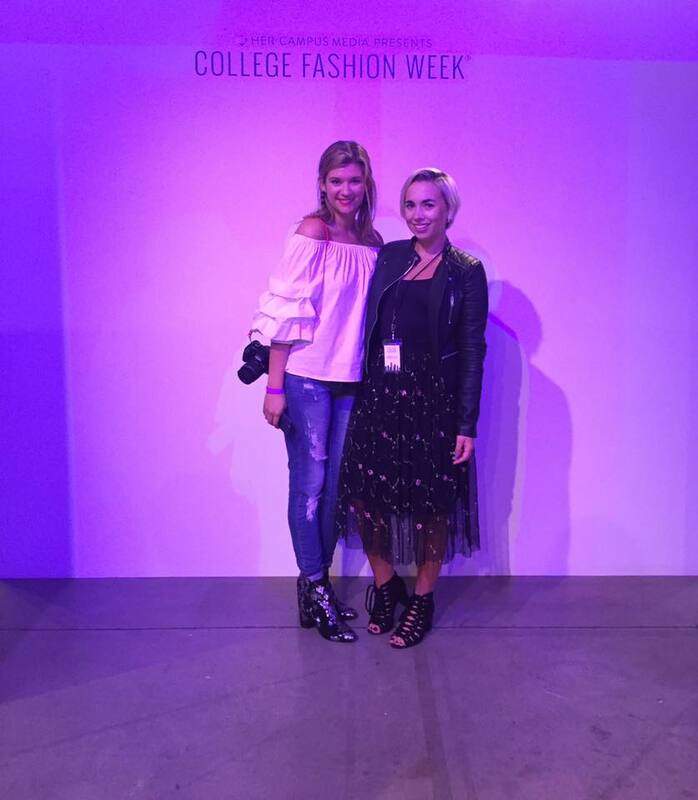 Meeting other talented bloggers and influencers is what makes blogging worthwhile. 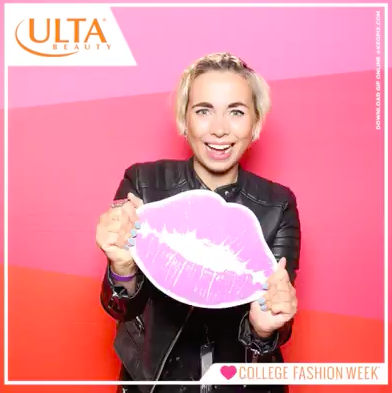 I can’t describe the feeling I get when I finally put a face to a name, meet some of the people behind my favorite brands, discover new brands, and the best part meeting new blogger friends. 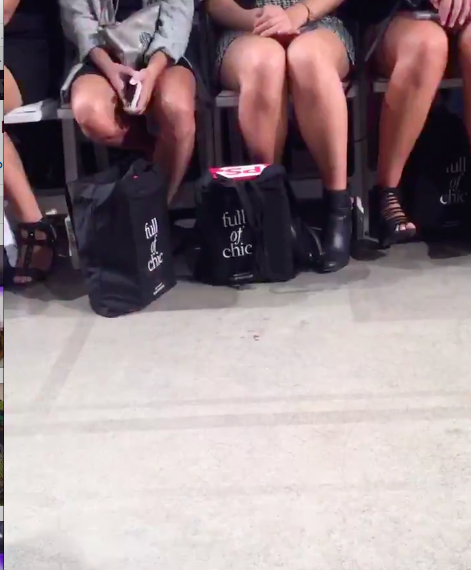 This is exactly what the Her Campus Fashion Week is all about. 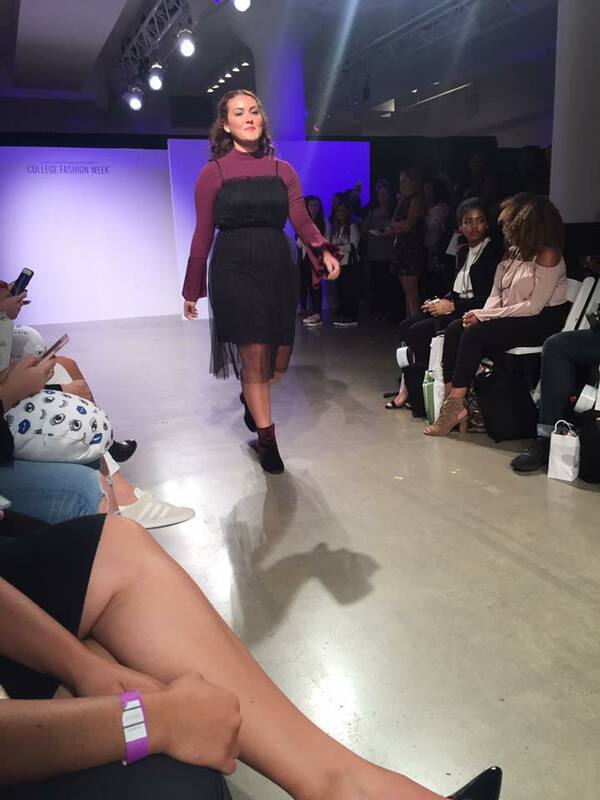 I’m extremely grateful that this was my second time attending the Her Campus Fashion Show in New York City. 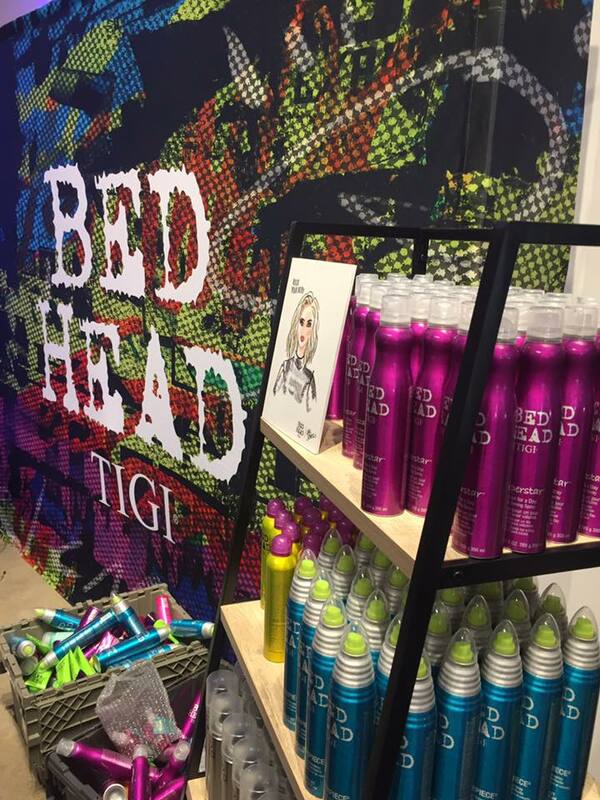 And as you know from my previous post, I attended the fashion show representing the brand Bed Head by TIGI. 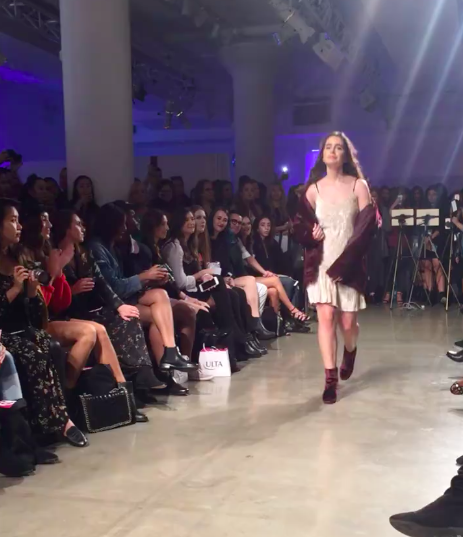 Also for the second year in a row, I attended the show with my photographer, fashion lover, and most importantly, best friend Lauren by my side. 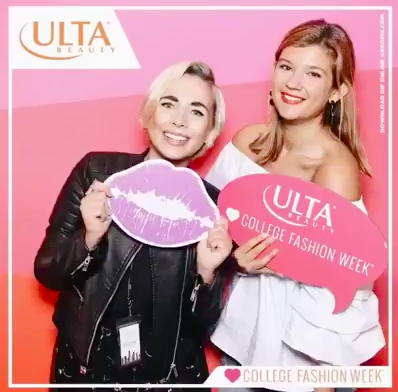 Of course, throughout the night, I was constantly instagramming and tweeting live updates from the show, but for those who were not fortunate enough to see all the behind the scenes action or those who just want to relive those moments again, keep on scrolling to read my Her Campus College Fashion Week recap, as well as all the details on my fabulous outfit from that night. 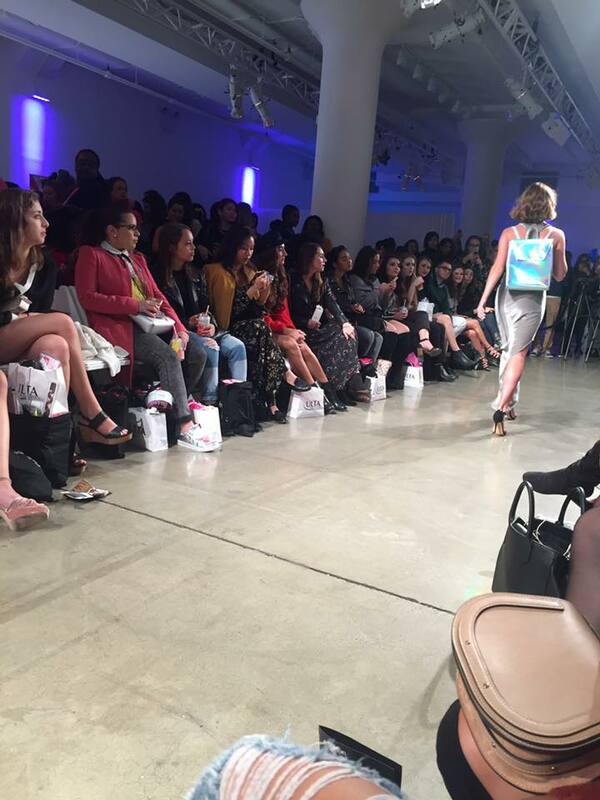 This year, the Her Campus College Fashion show was hosted at the Metropolitan West, a fun, unique venue that offered tons of space for the runway and all the sponsors to set up booths showcasing all their products and services. 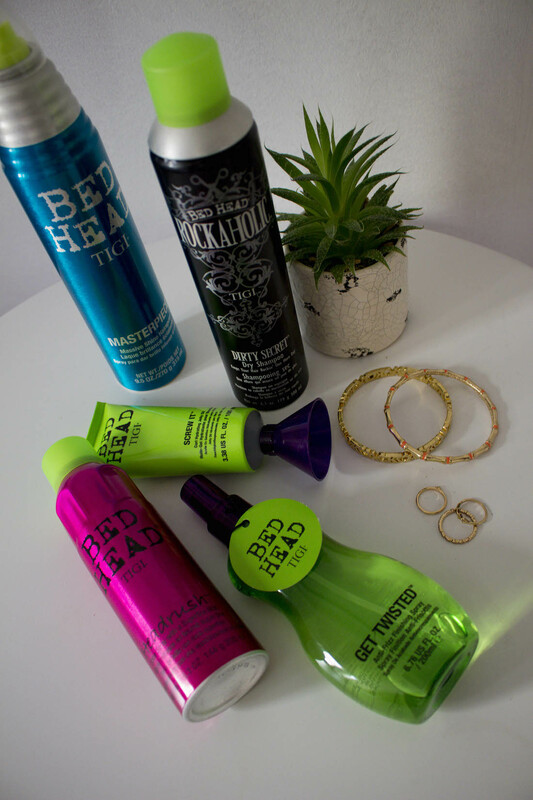 The sponsors varied from hair, beauty, fashion, and beverages. 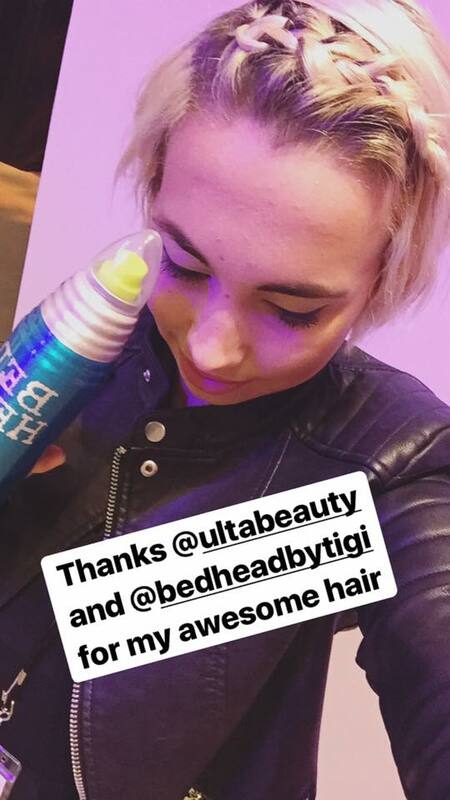 The list of the sponsors included Ulta Beauty, Bed Head by TIGI, Primark, Spindrift, and StudentUniverse, and they were not stingy with the free stuff. 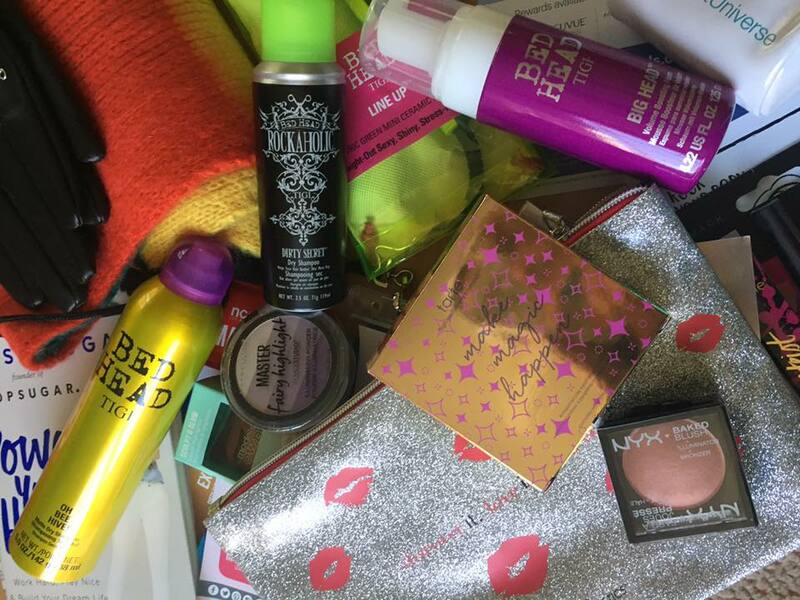 My VIP goodie bag was filled with eyeshadows, blushes, lip products, hair products, accessories, coupons, and so much more (check it out here). 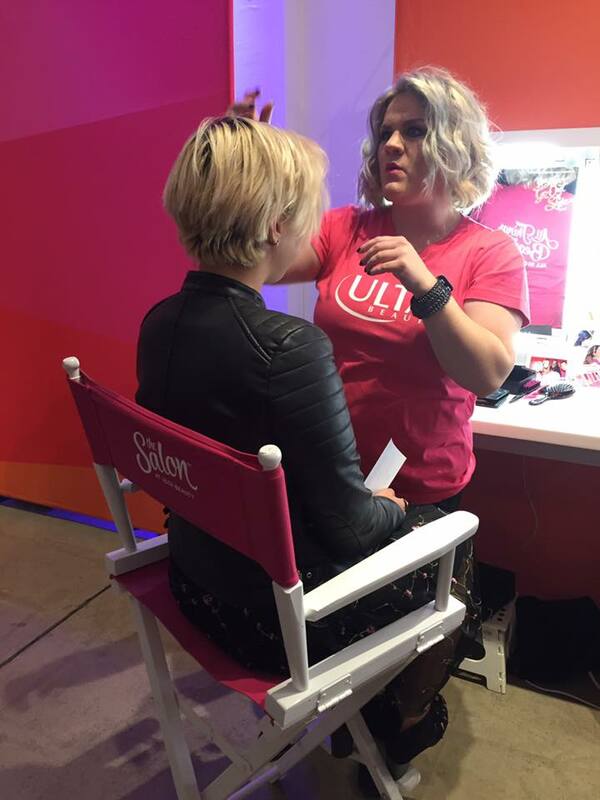 I even had the chance to get my hair done by Ulta Beauty. They knew I was going for an edgy look, so the messy braid looked perfect with my outfit, which I will get to in a moment. Once we mingled with everyone, it was finally time for the show, featuring fashion from Primark, Avec Les Filles, Chaser, and Vici. 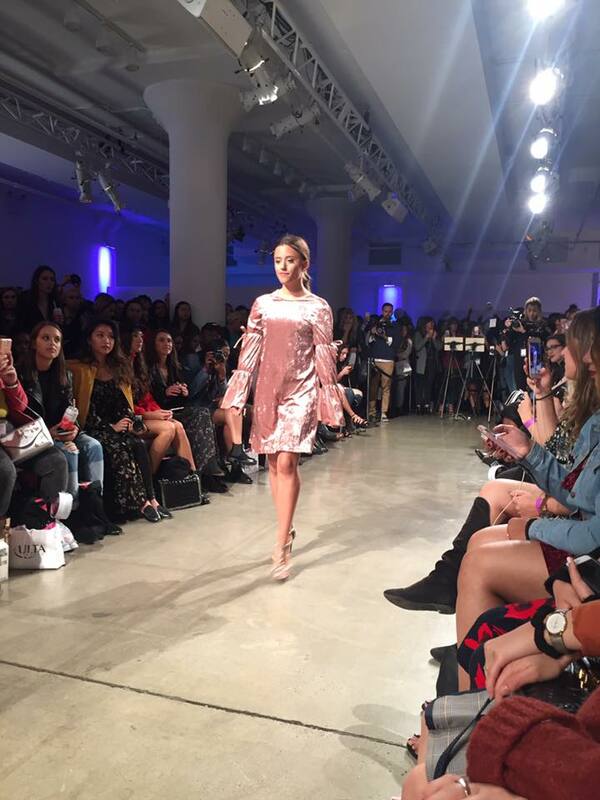 Each show had a different theme, like street chic, rocker, and formal wear. Naturally, I loved the rocker looks that featured tons of moto jackets, a staple for the fall and winter season. The models looked absolutely stunning dressed in the up and coming brands fabulous items. 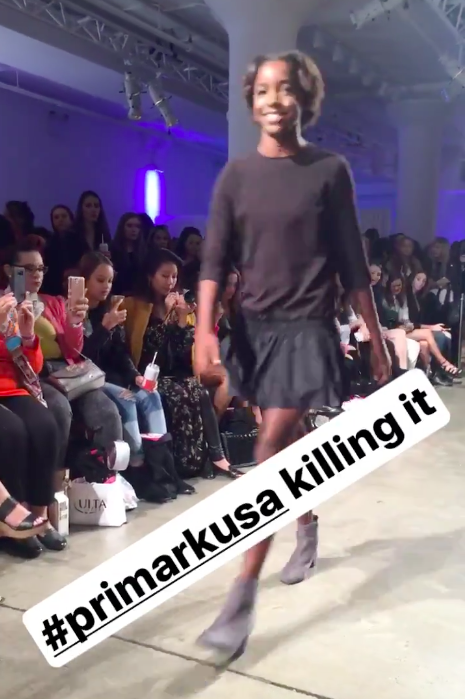 I loved how each show featured a mix of looks, which made it easy for everyone to find a look that matched their personal style and it was easy to completely fall in love with the brands. 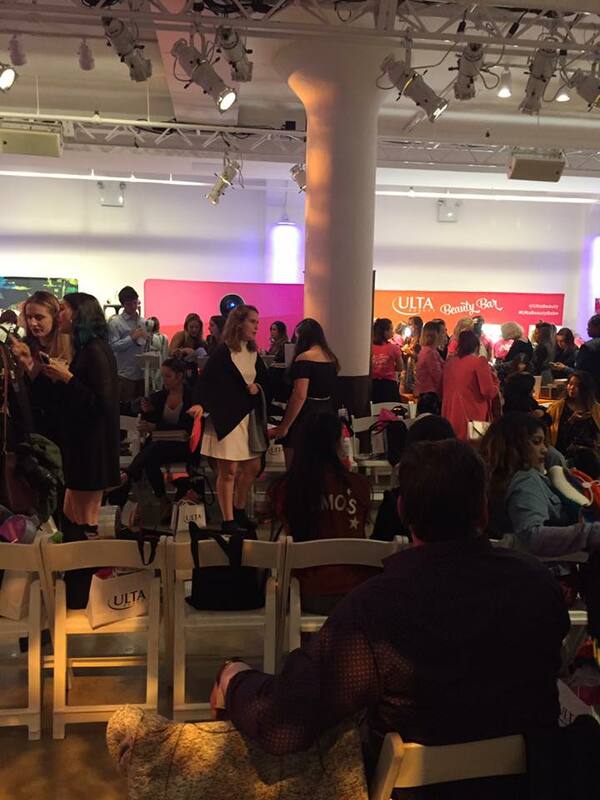 Between the special VIP hour and the fashion show itself, the night flew by. Like I said, it’s nice to attend these special events and meet so many creative and talented people. Now time for my outfit details. You can’t go to any event like this without consciously choosing the right outfit for the night. 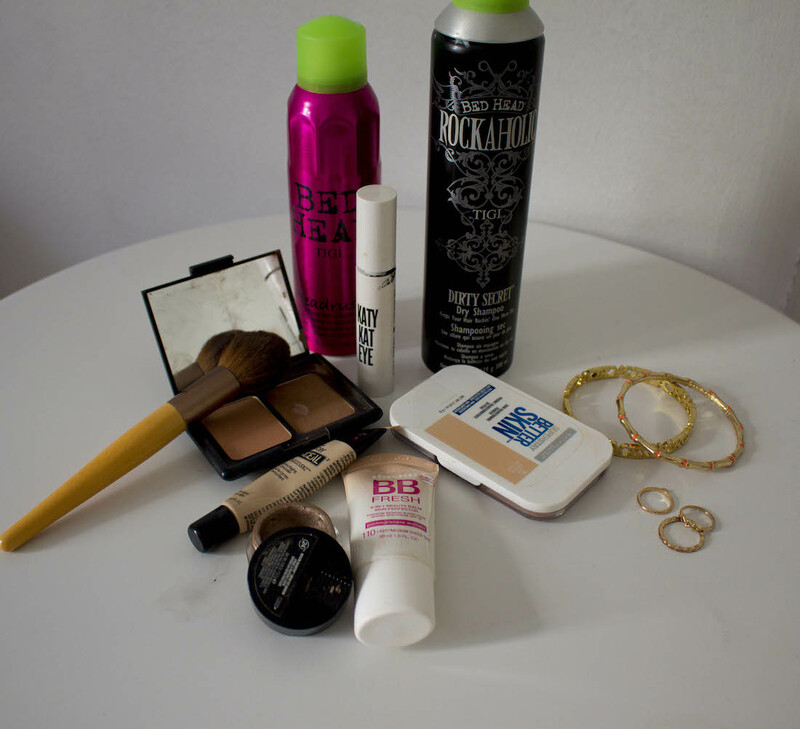 Whenever I go to fashion shows or even go out in the city for the evening, I always try to bring out my edgier side. So for my look I stuck with dark colors, leather, silver jewelry, and strappy heels. When I was planning my outfit for the event, I was torn between a dress, a skirt, or a jumpsuit. I had a few options in mind but it wasn’t until making a shopping run to Francesca’s that I finally settled on my look for the night. When I saw this tulle skirt with a dark floral pattern, I knew this was the skirt for me. I love the midi length because it still shows off some leg and the shoes. After falling in love with this skirt I knew exactly what I was gonna wear with it for the show. 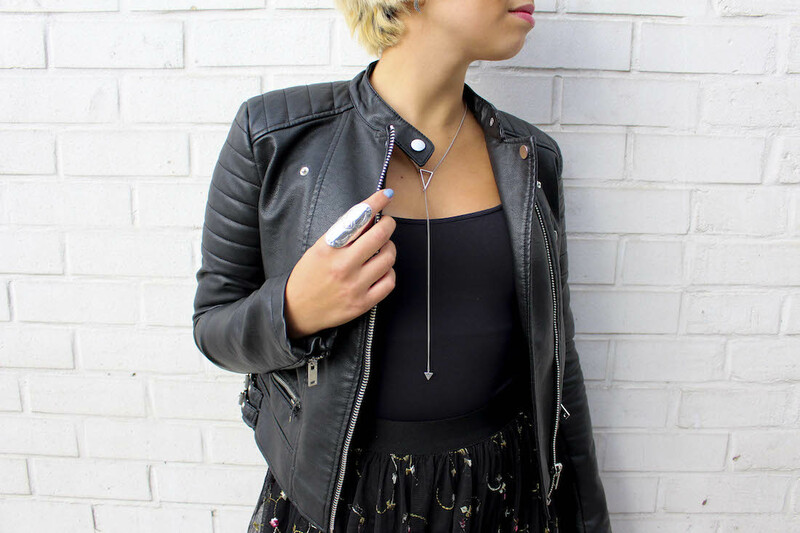 It’s finally layering season so I took advantage of the chiller temperatures that night and went with a leather jacket to accompany my tulle skirt. This leather jacket from Zara is a wardrobe must have because it can be worn with pretty much anything for every occasion. I love all the pockets and silver hardware details throughout the jacket. And for those wondering, underneath, I’m just wearing a simple form fitting black tank from Zara. These simple tanks are layering essentials! Since my broken ankle incident, I’ve retired many of my high heeled shoes. As much as I would have loved to wear a stiletto with this skirt I stuck with the comfortable, but still fashionable option; my lace up black heels from the brand Soda. The block heel gives my foot extra support so I don’t have to worry about twisting any ankles. For jewelry, I wanted to stay simple since there was so much going on with my outfit. I decided to wear a long silver chain necklace that laid perfectly with my open jacket. I rarely wear a lot of rings but since I was attending a fashion show I spiced up my jewelry game with this vintage statement ring. The silver color of the ring perfectly matched my necklace and the edgy vibe of my outfit.